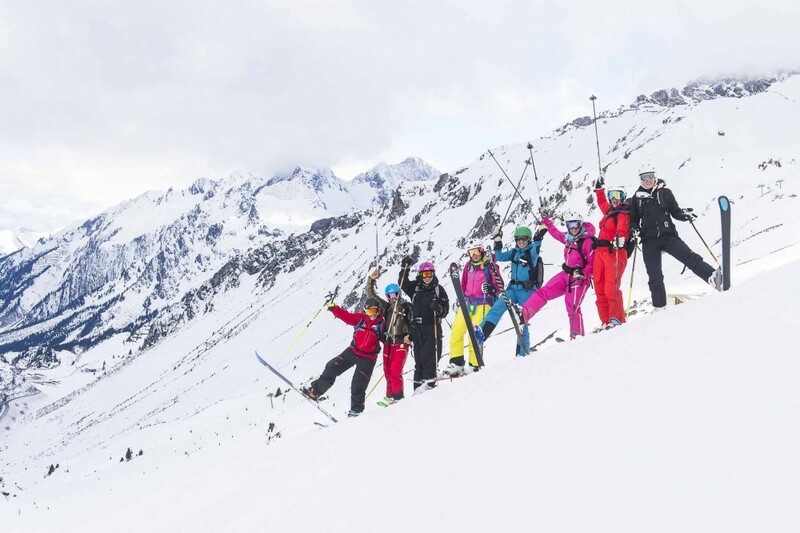 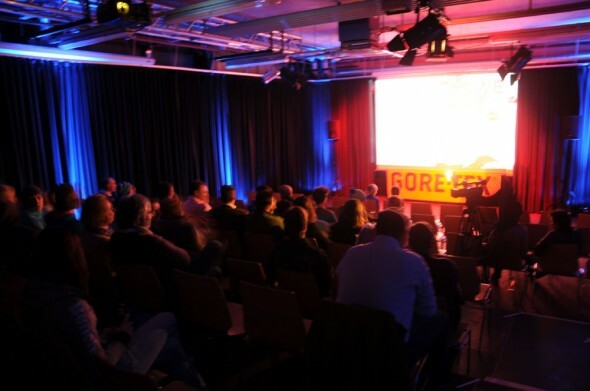 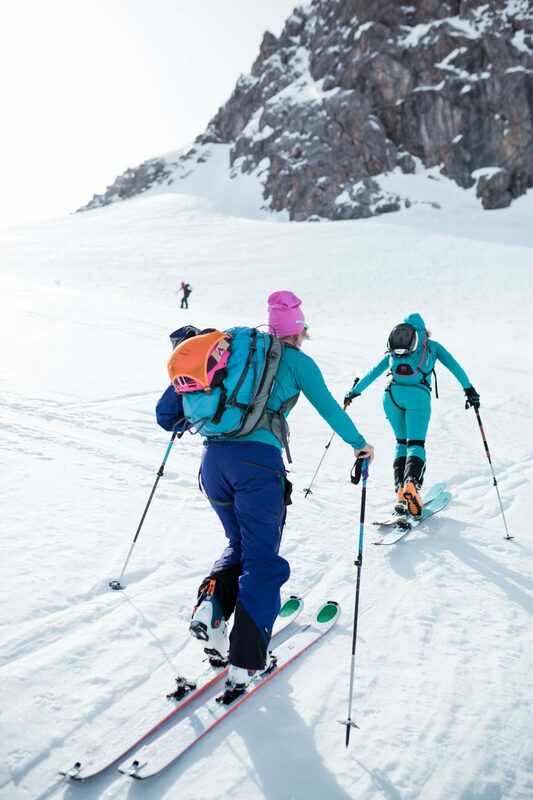 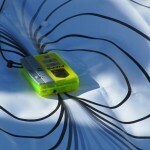 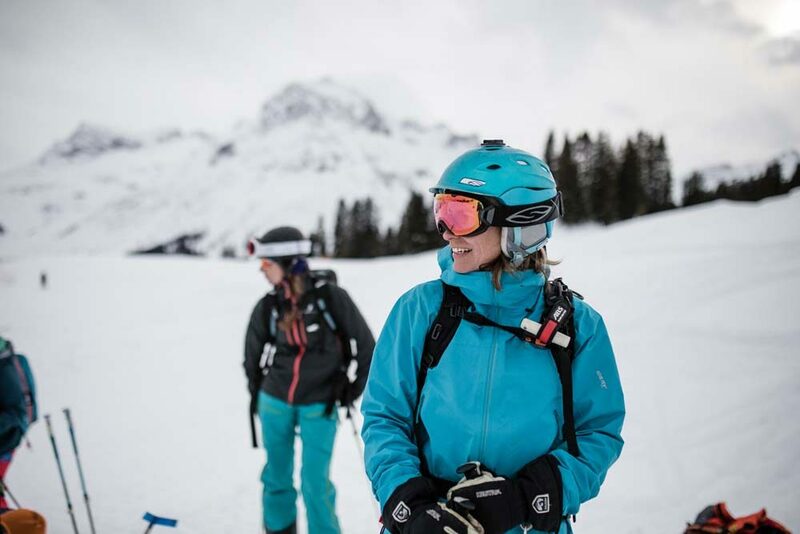 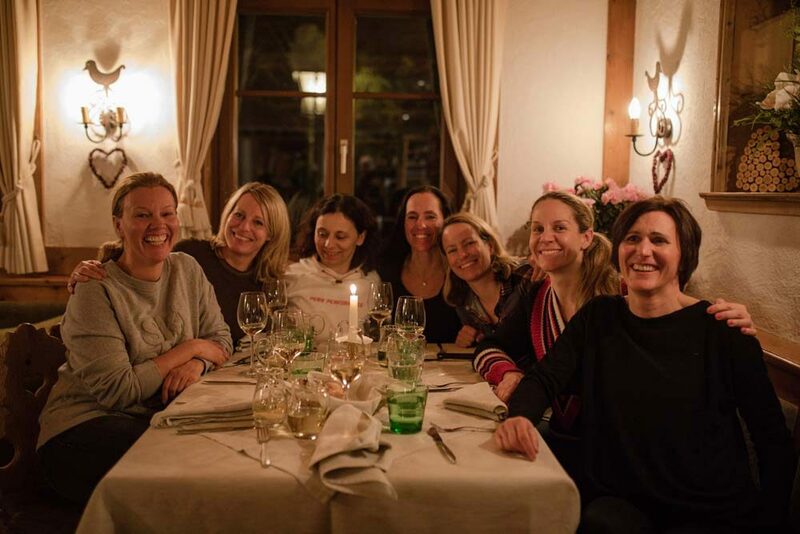 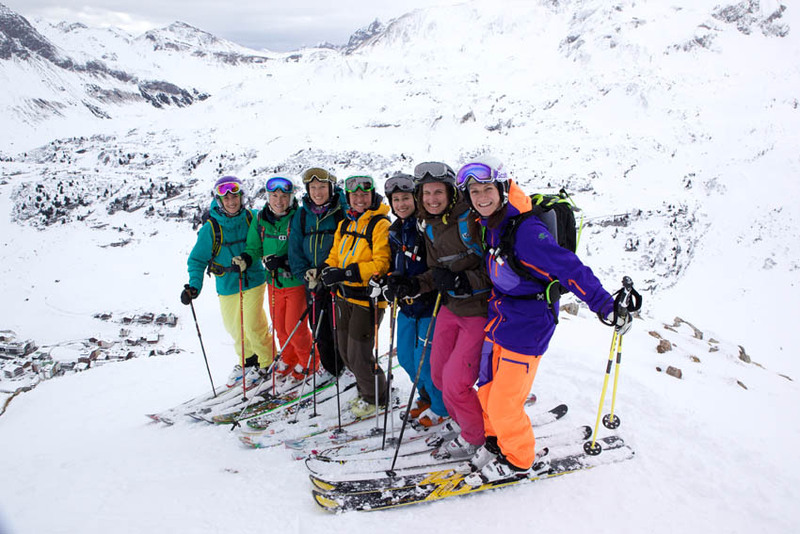 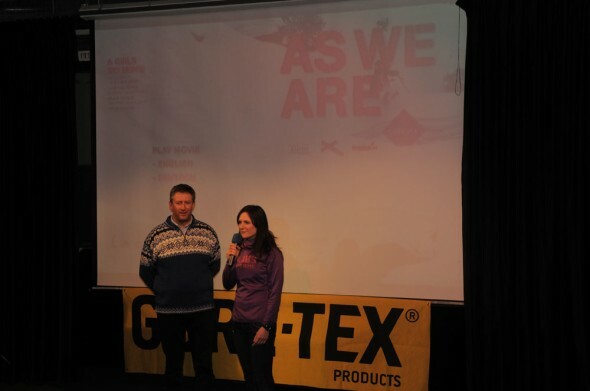 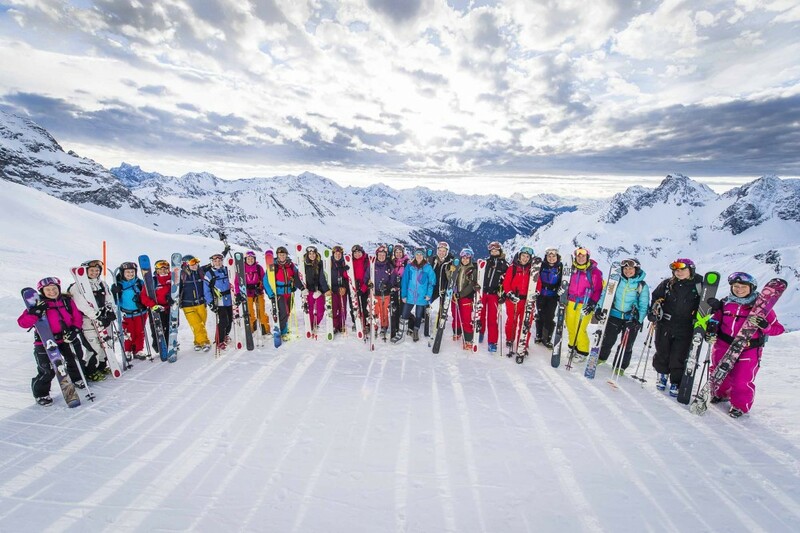 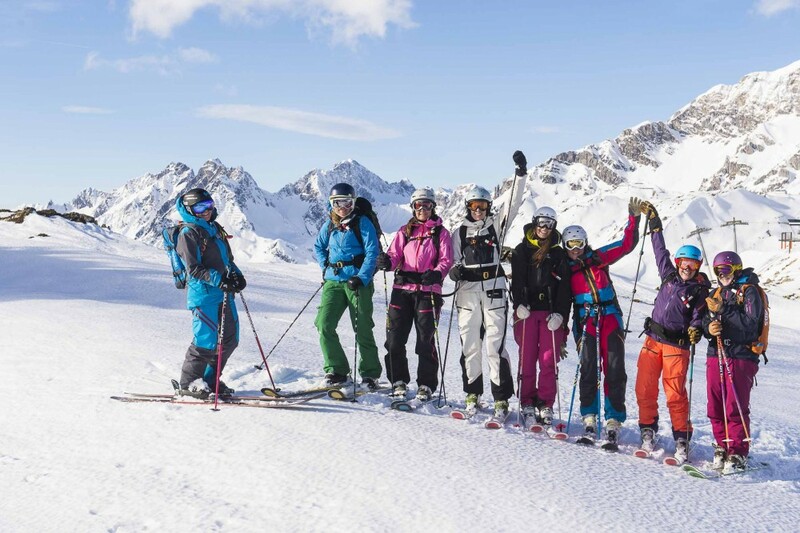 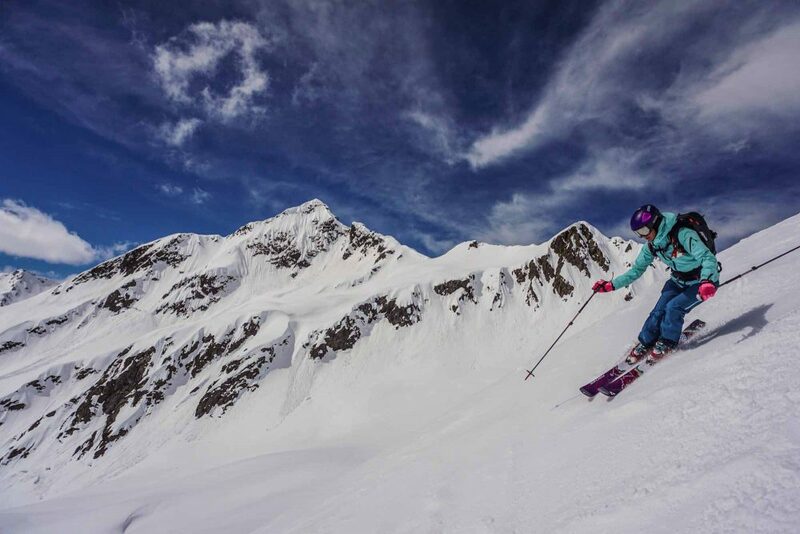 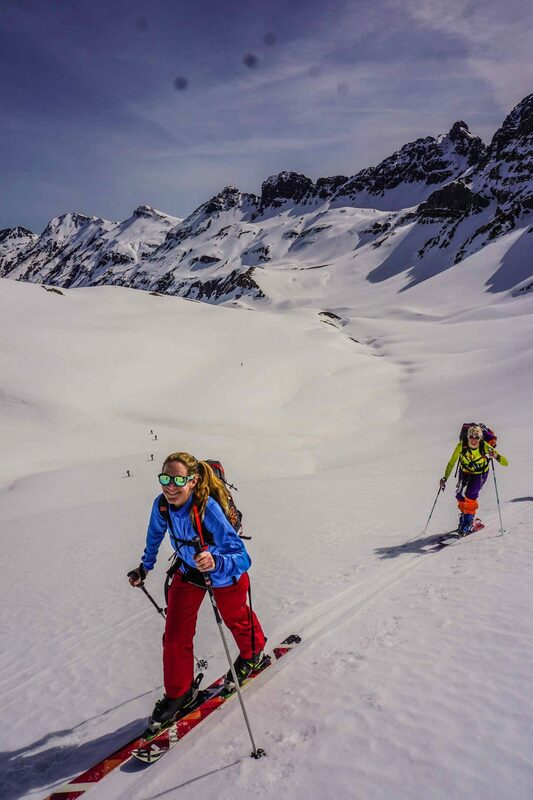 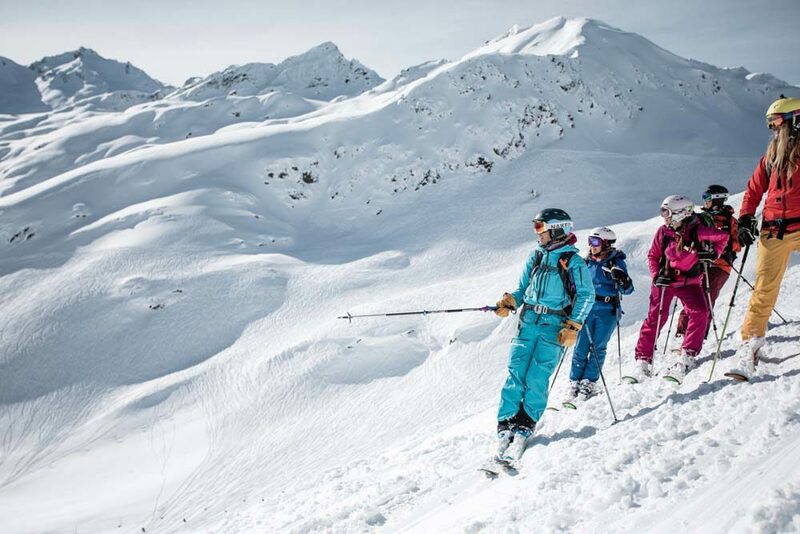 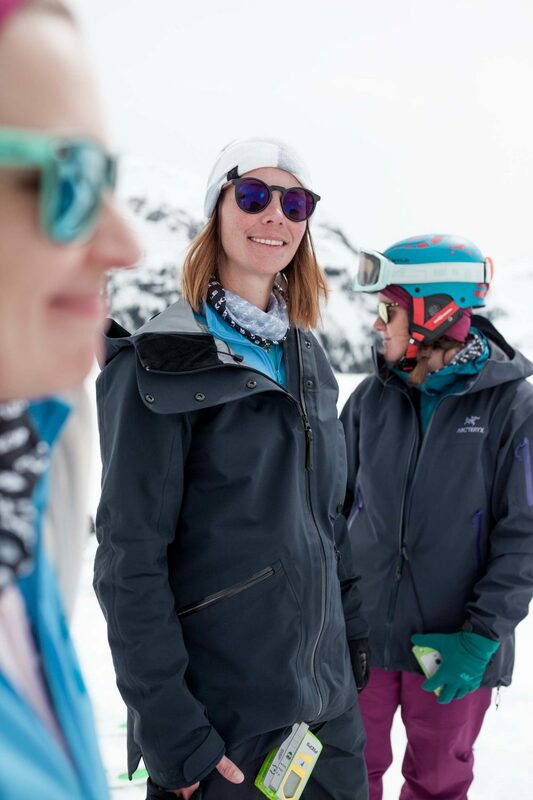 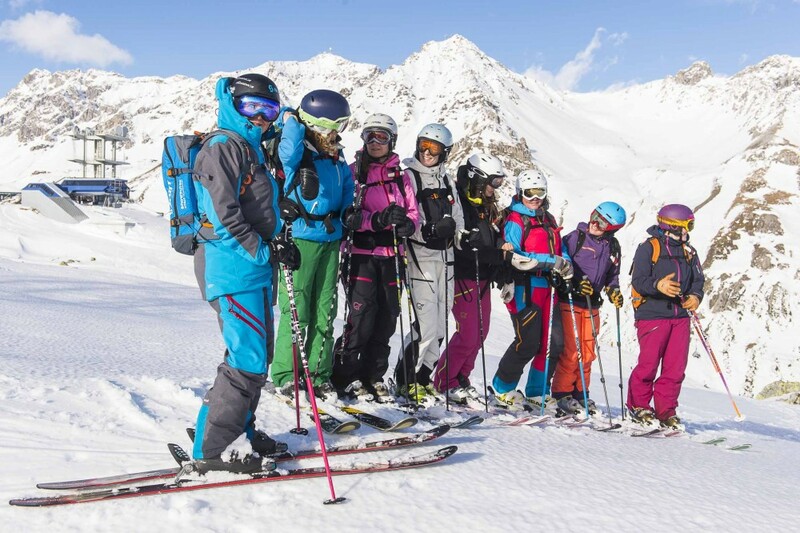 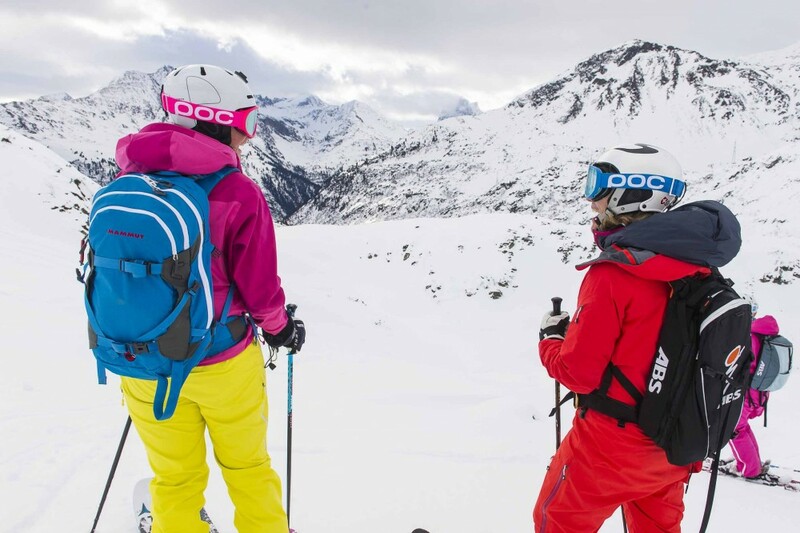 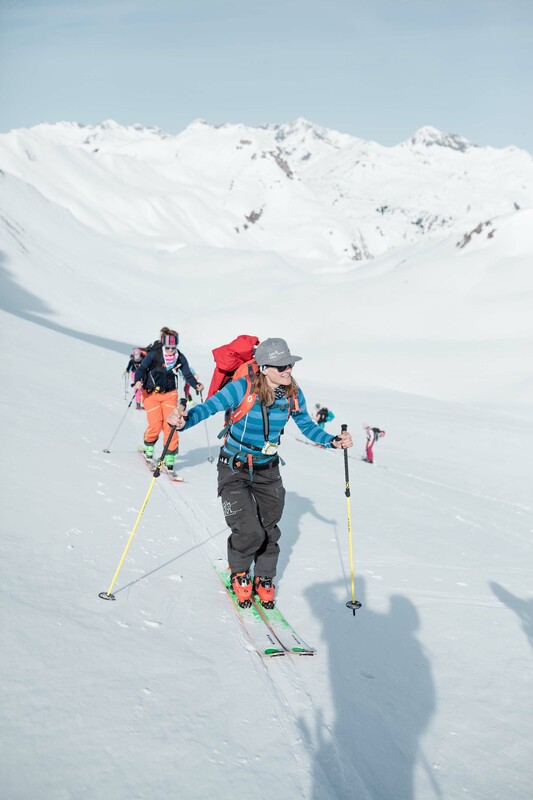 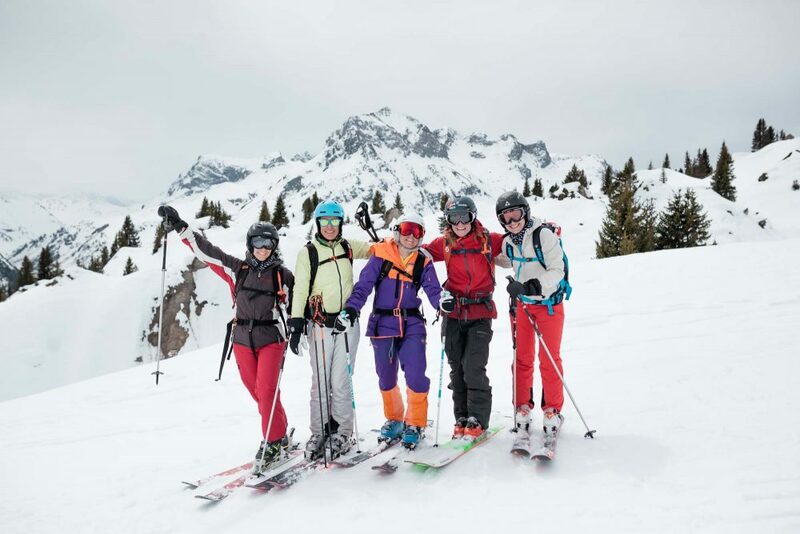 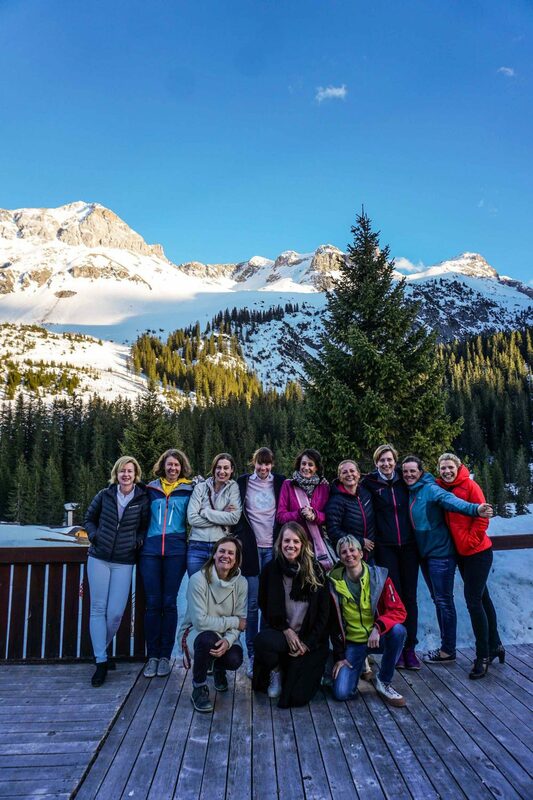 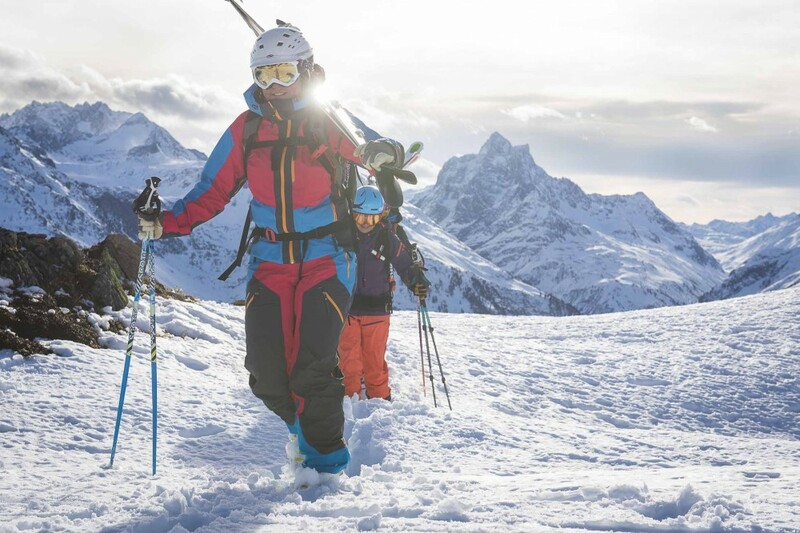 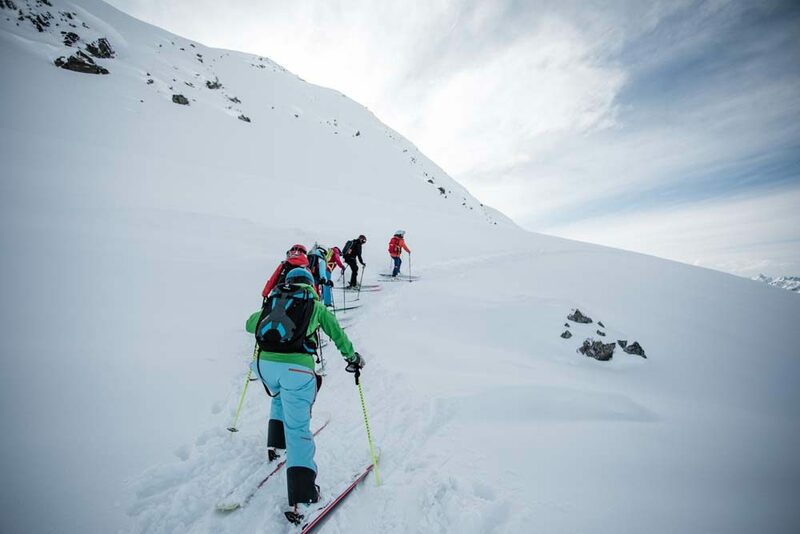 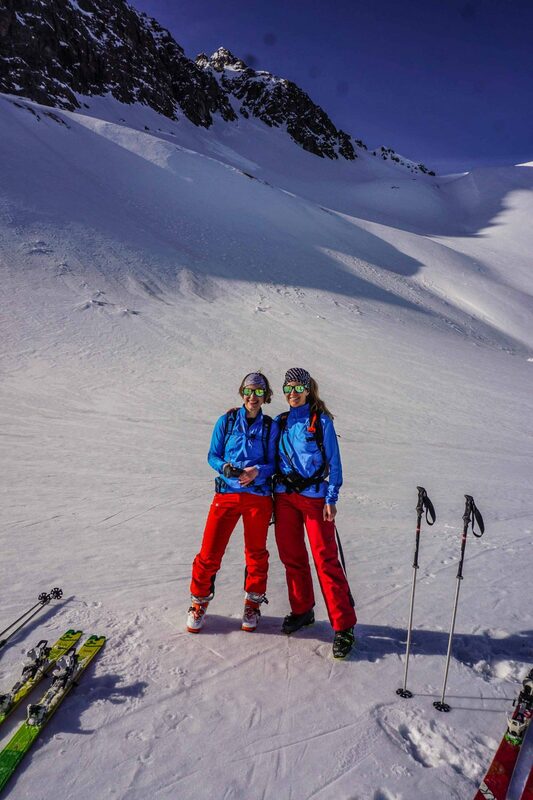 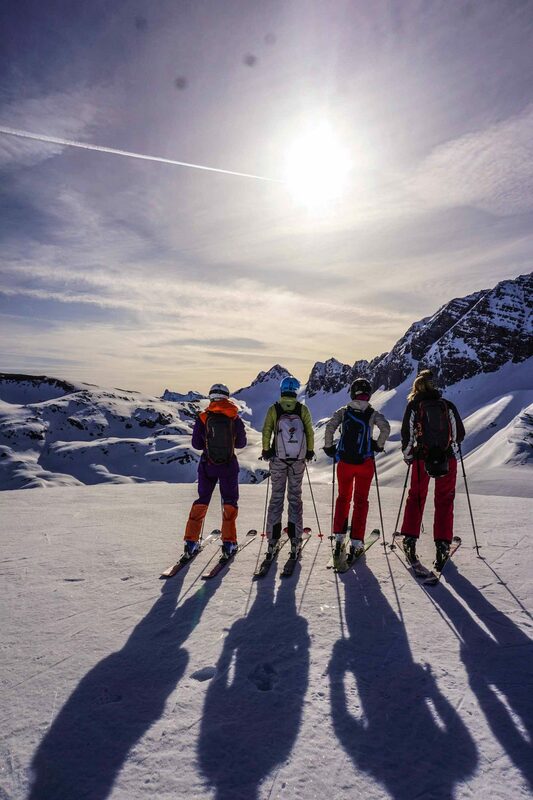 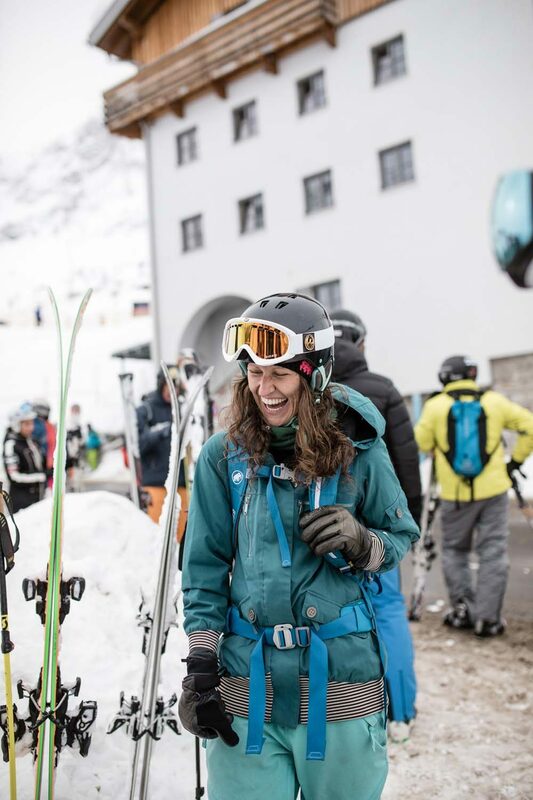 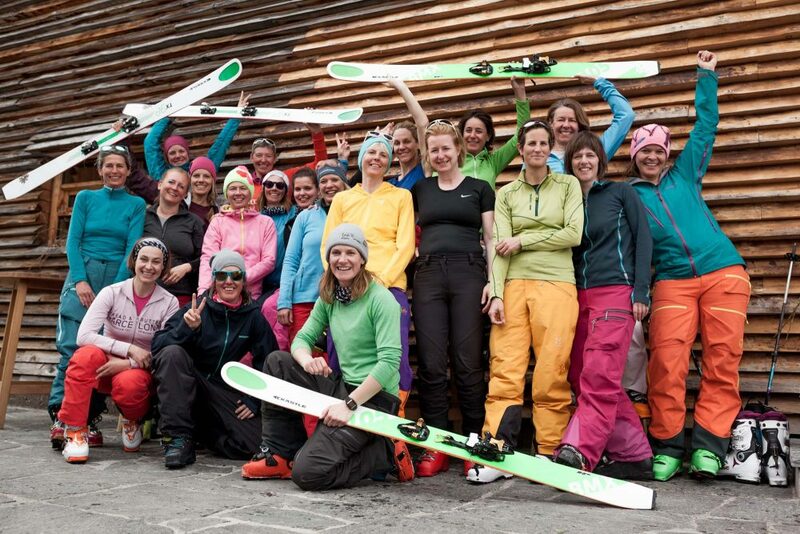 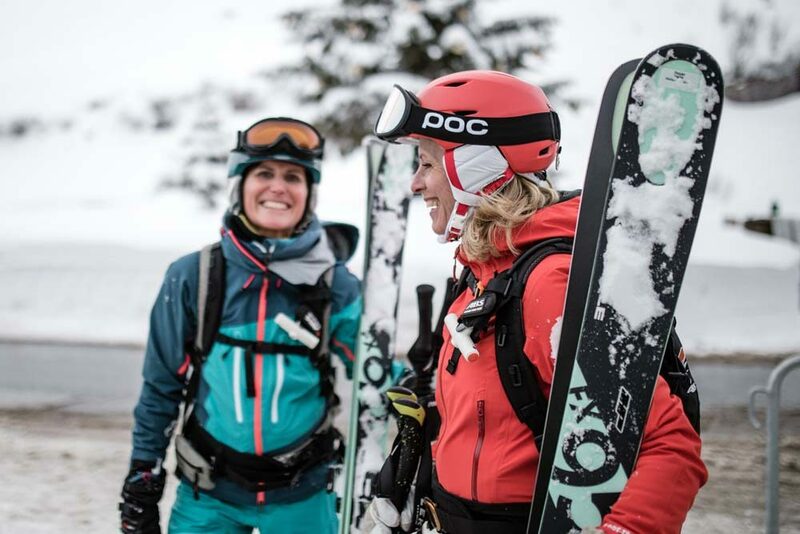 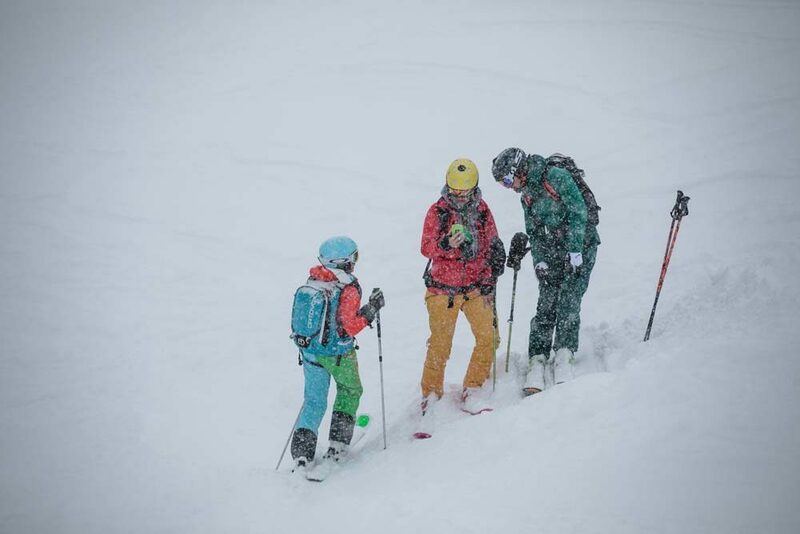 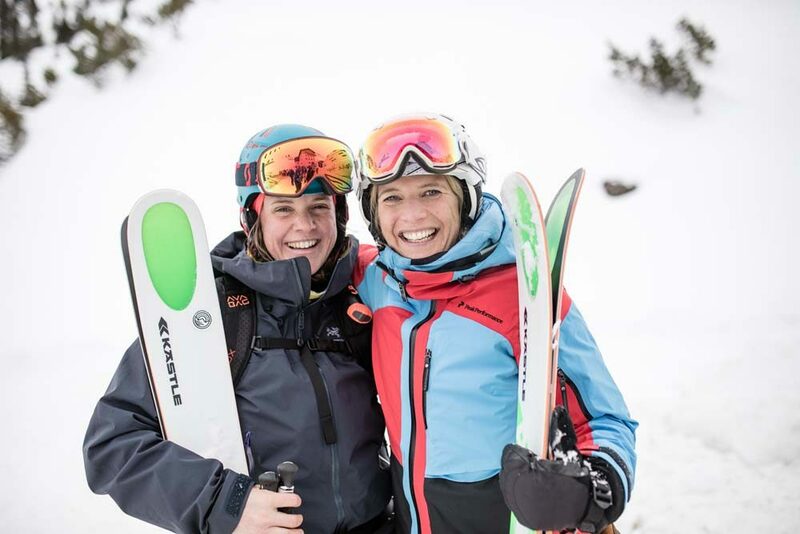 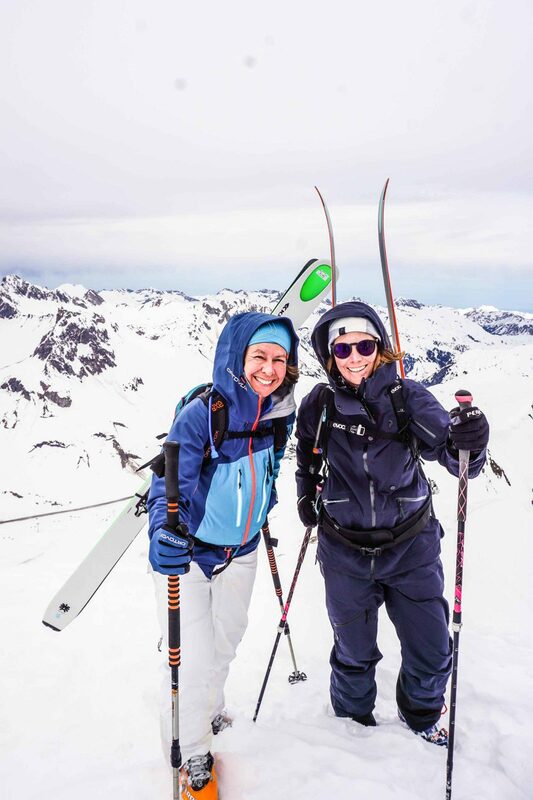 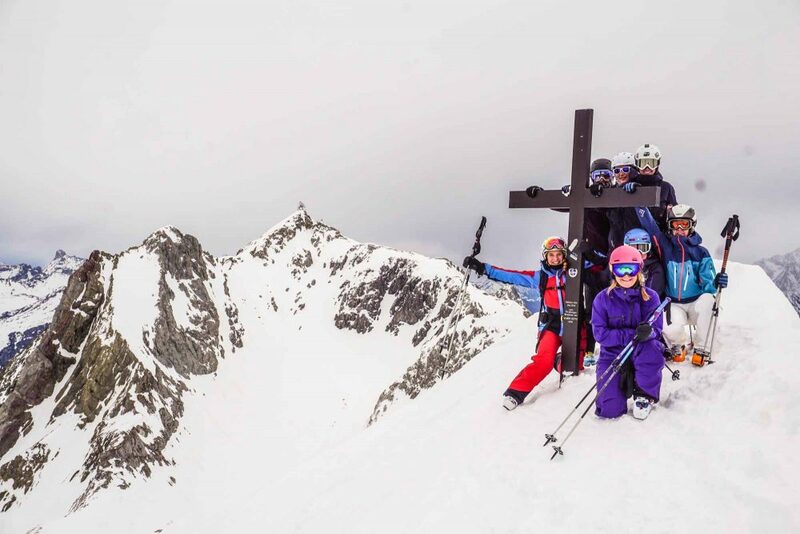 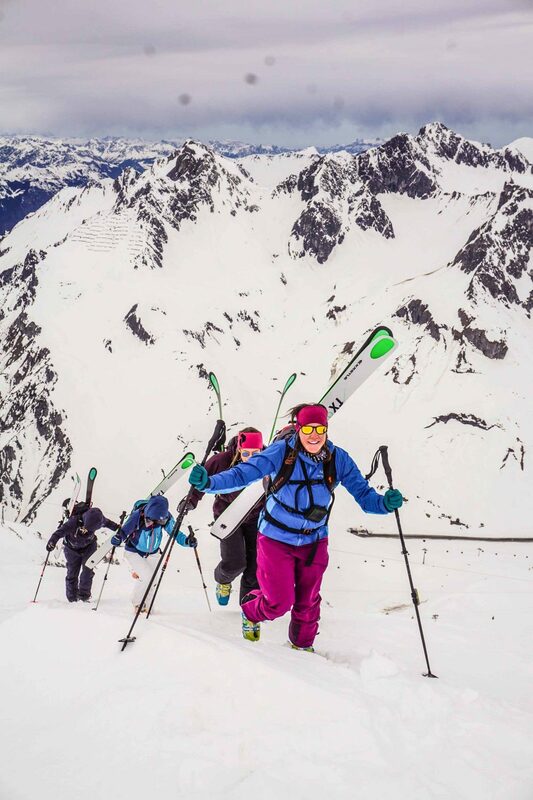 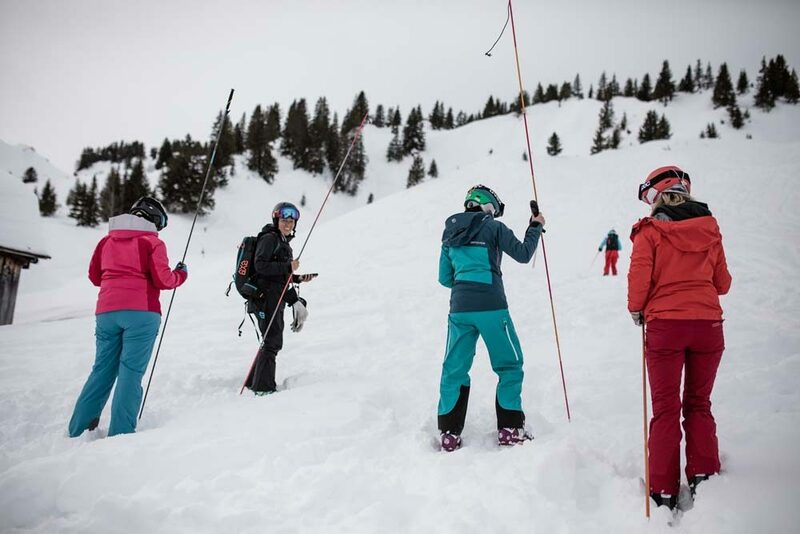 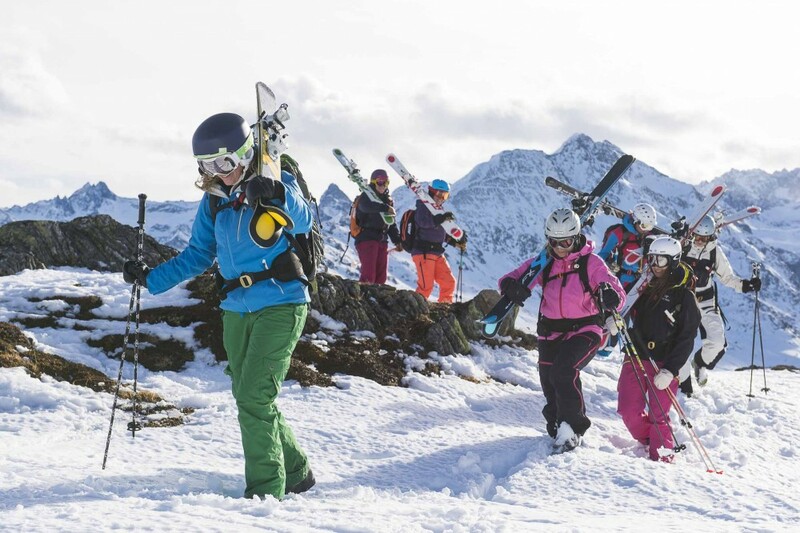 Our girls ski movie “AS WE ARE” presented by Gore-Tex® was shown in the Postgarage this Thursday in Lech am Arlberg. 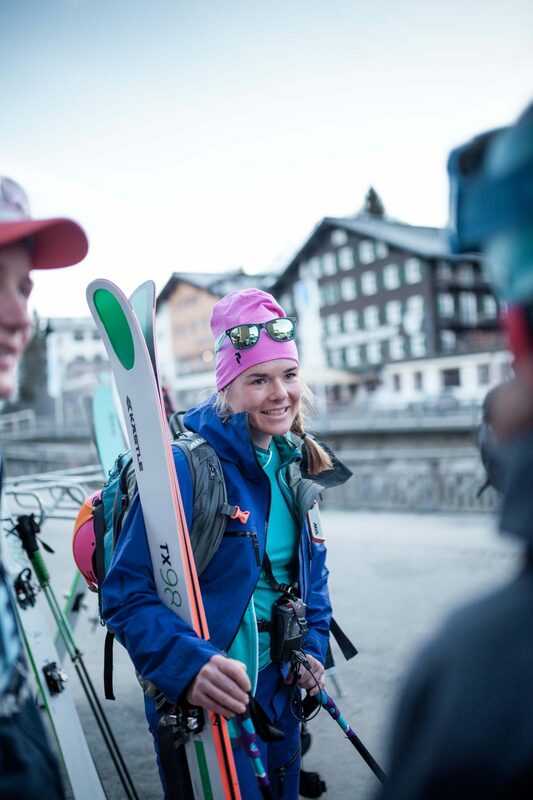 It was pretty funny because after having toured around with Warren Miller for 2 years to places like Boston, Berlin and Hamburg where there were sometimes over 2,000 people per show, I was so nervous! 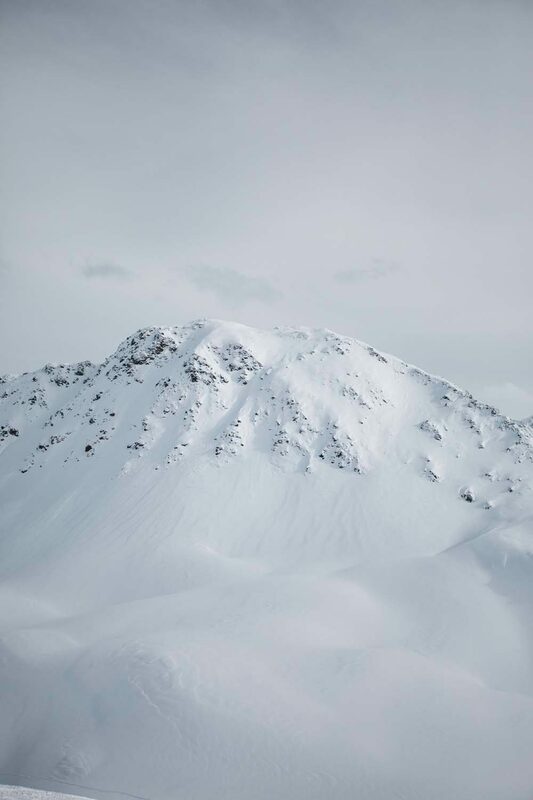 Would there be enough people there? 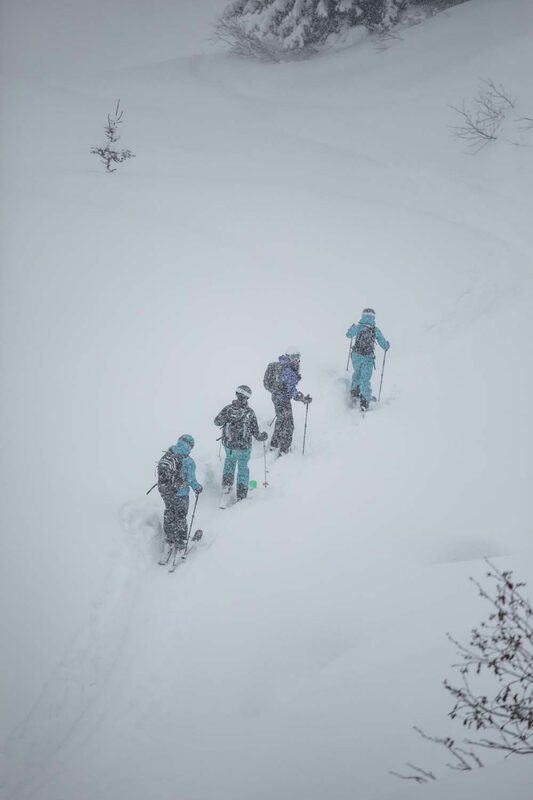 Would they like it? 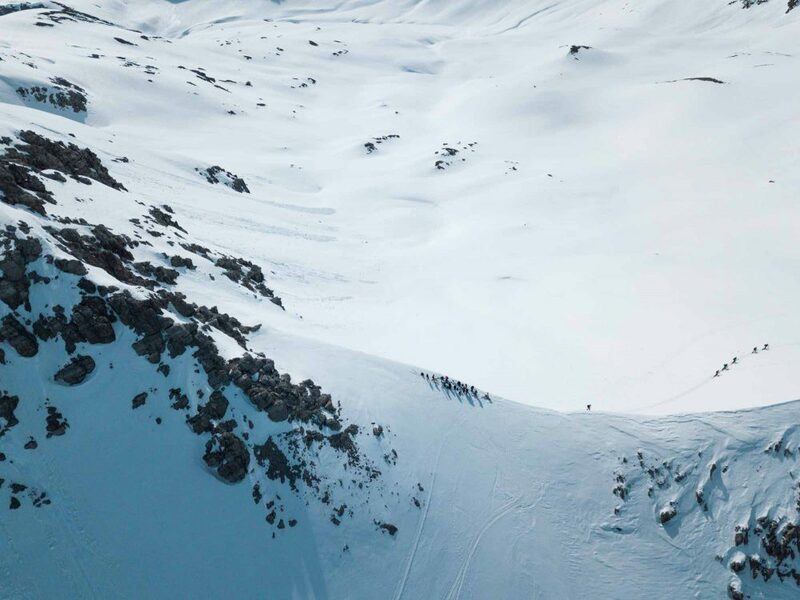 Did our camera man/director/cutter Mathias Bergmann have to use that drop of me where I didn’t know where I was going…and so on. 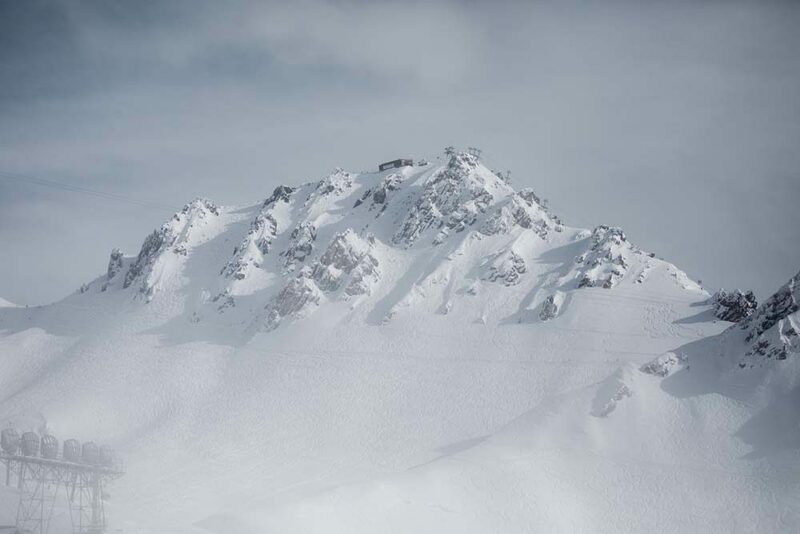 In the end there was no reason for worry, the audience loved the movie and how motivating it is to start freeriding and doing some fun airs and pillows. 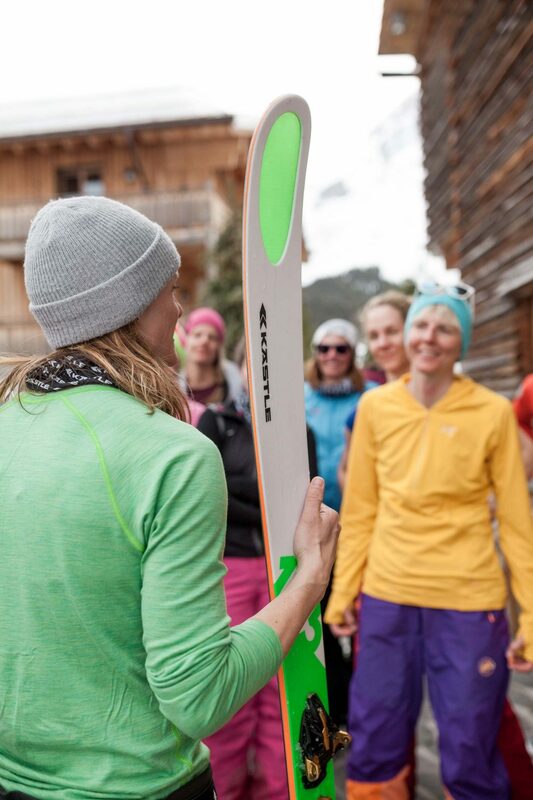 People enjoyed finding out more about each of the athletes and how they came to be the skiers they are today. 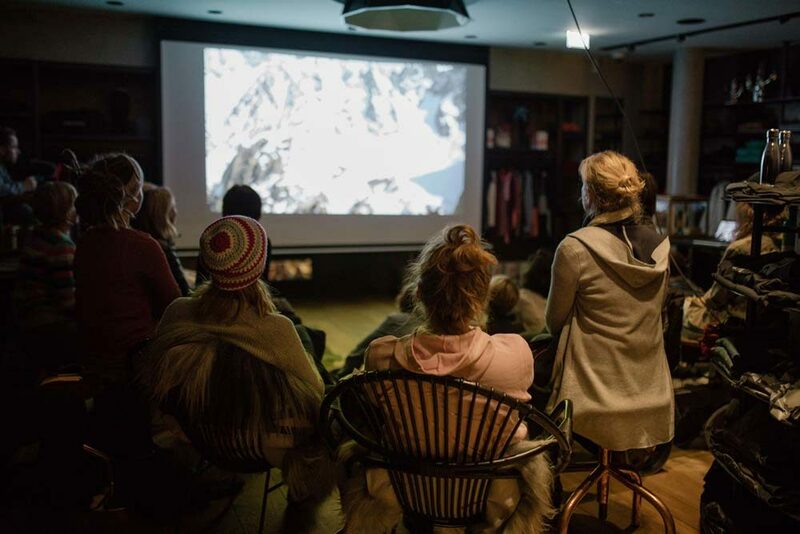 The venue itself was awesome, the perfect place for a film night. 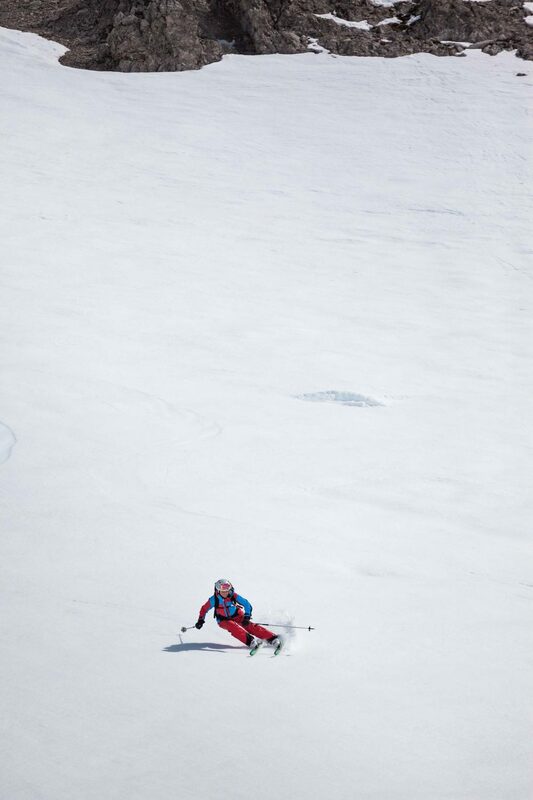 Big thanks to my sister Tamara for these pics! 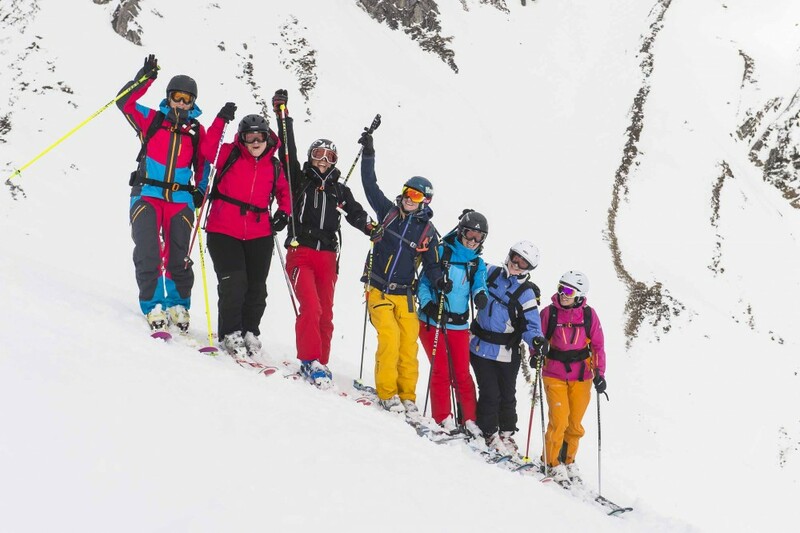 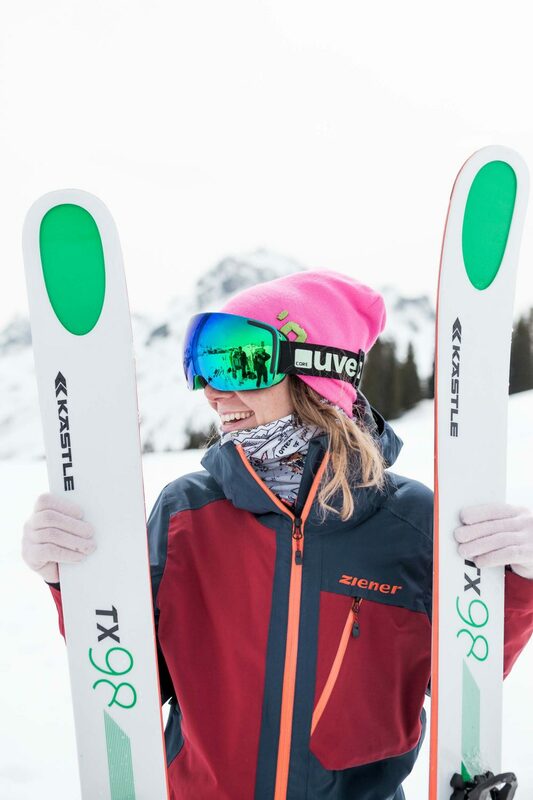 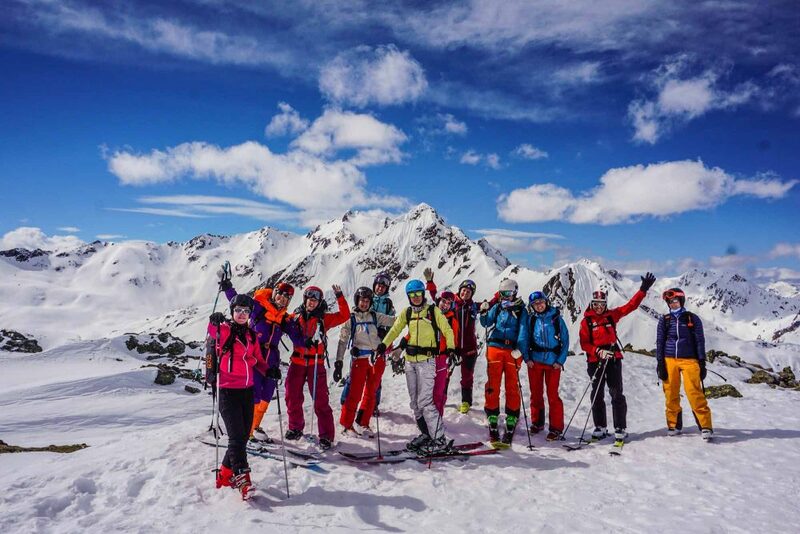 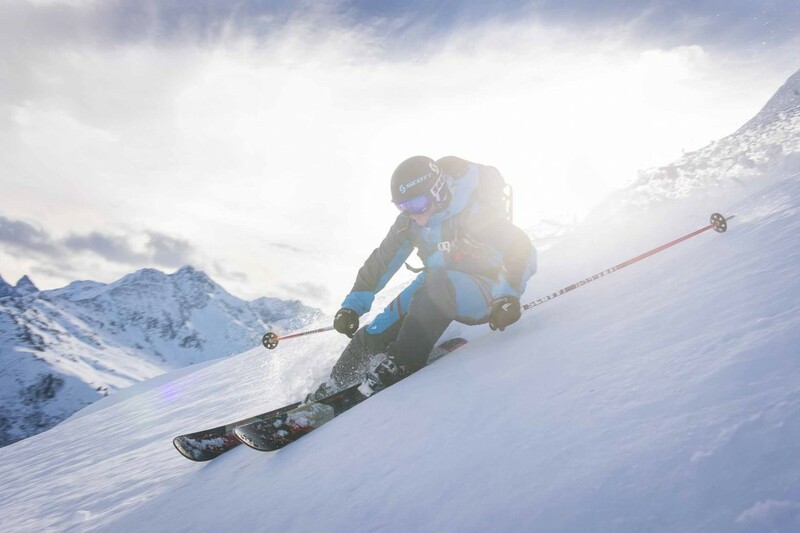 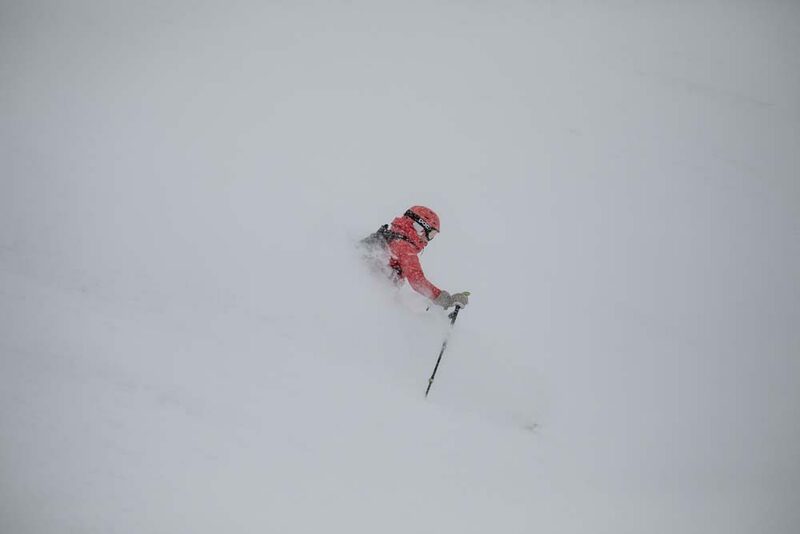 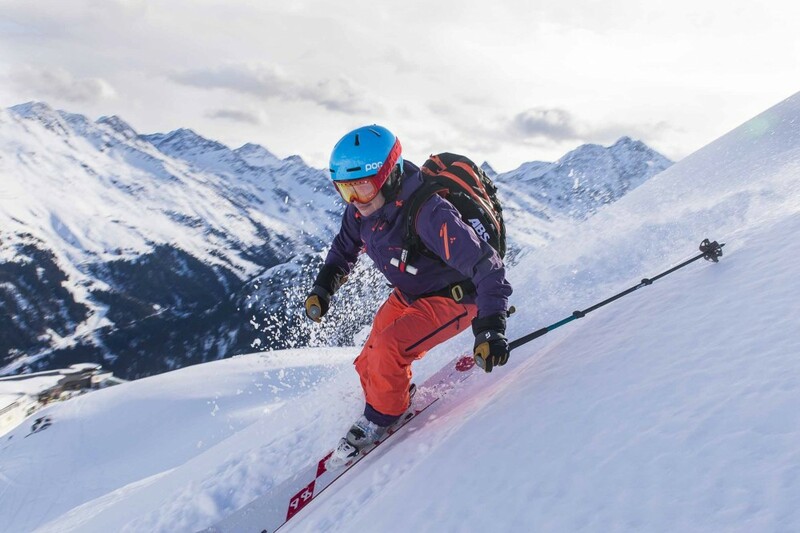 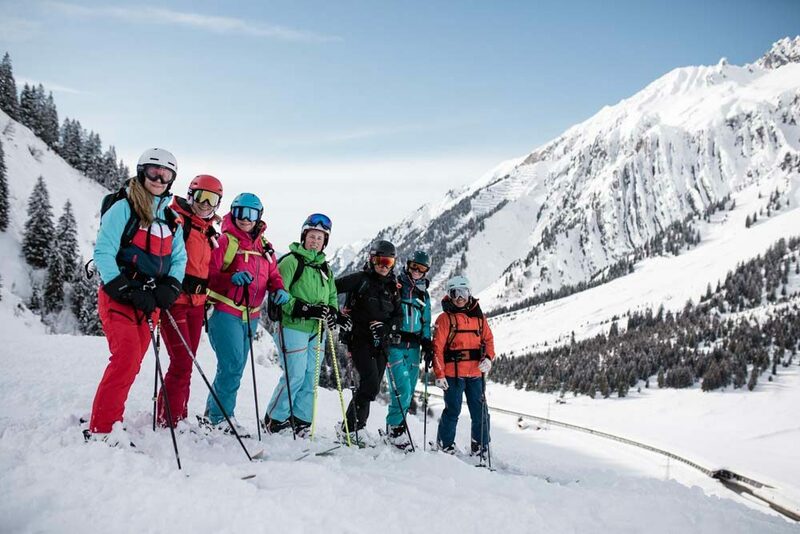 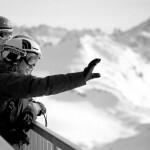 This weekend I skied with 11 participants of the KJUS KLUB Freeride Camp in St. Anton am Arlberg from 27 to 29 January. 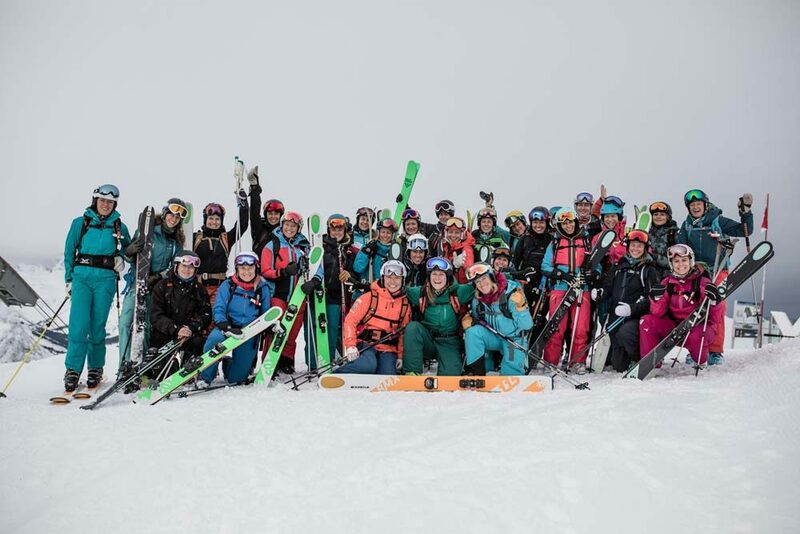 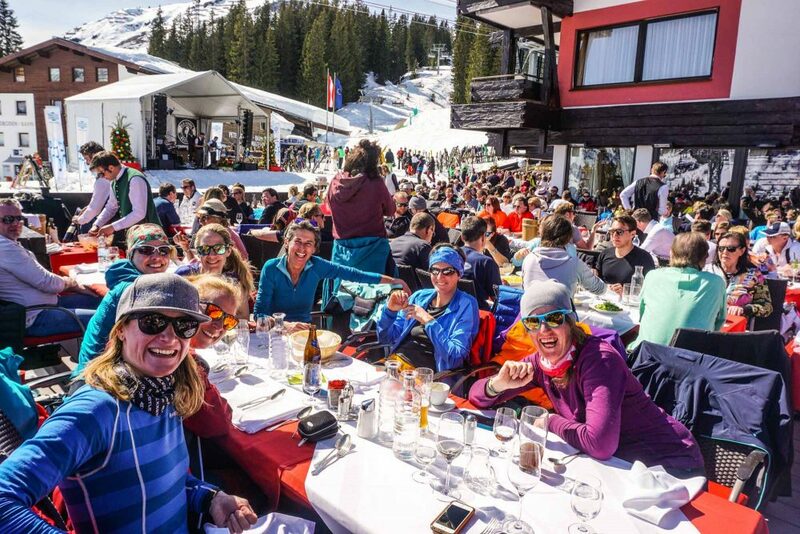 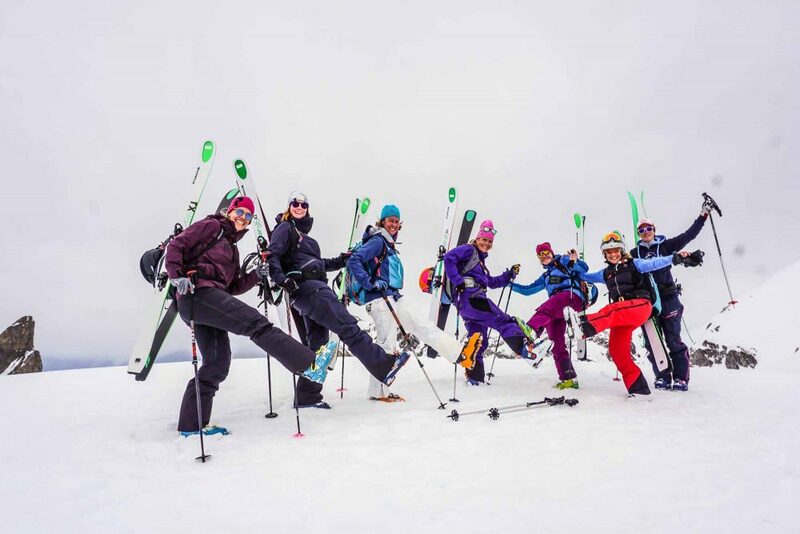 The group of men and women were awesome, the vibe great and the skiing level high. 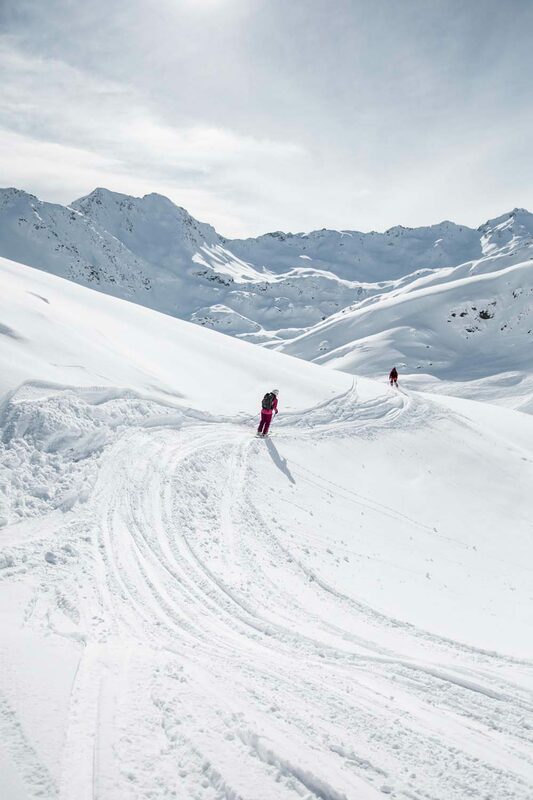 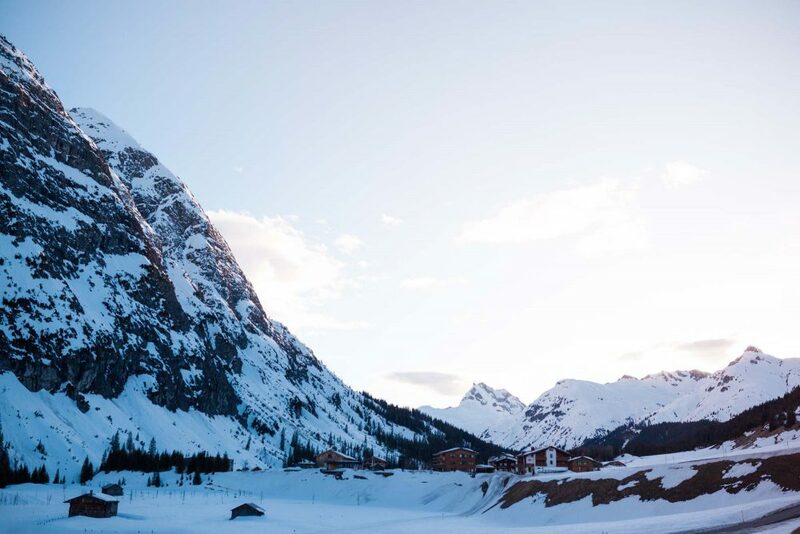 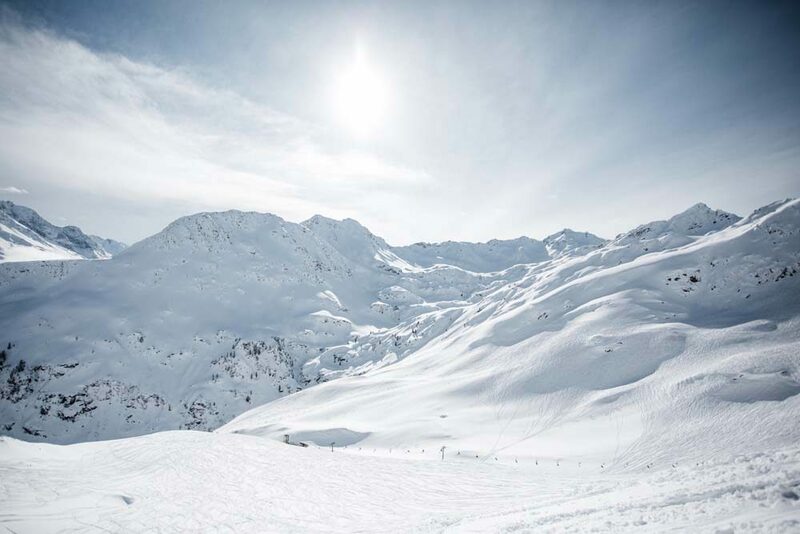 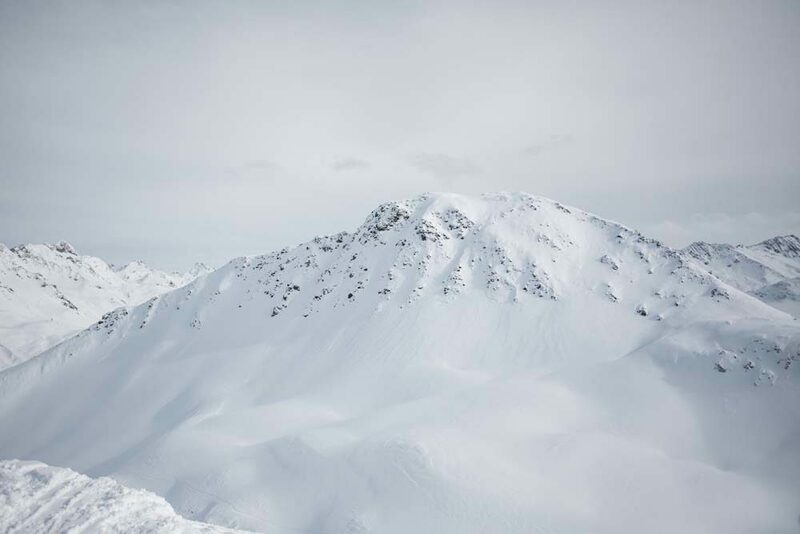 On day 1 we took advantage of the perfect weather and booked a helicopter to the Mehlsack, one of only 2 allowed heliskiing drops in all of Austria – both of them in Lech am Arlberg. 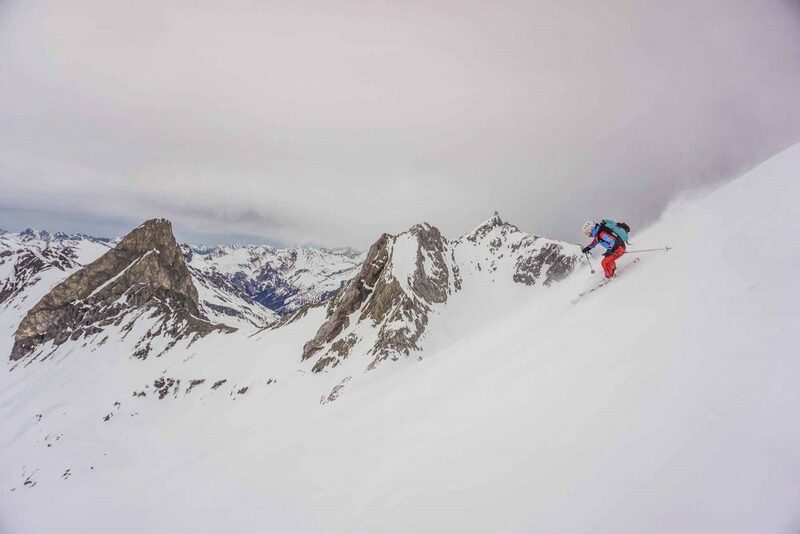 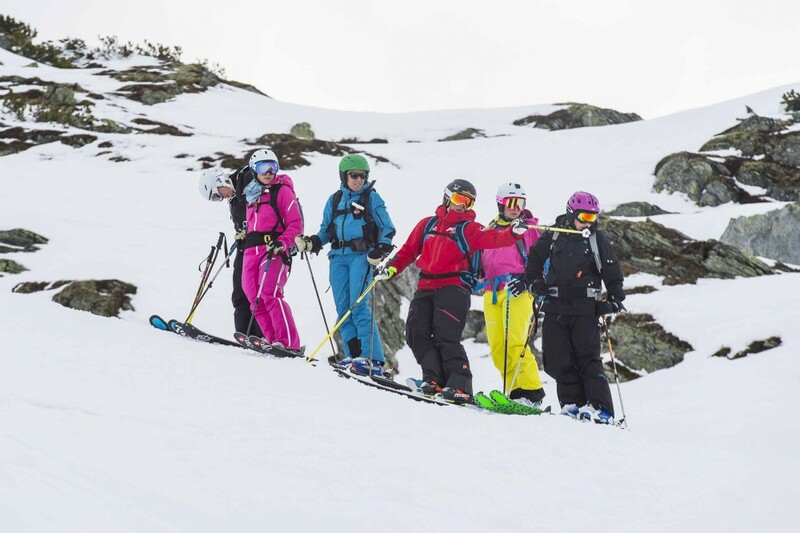 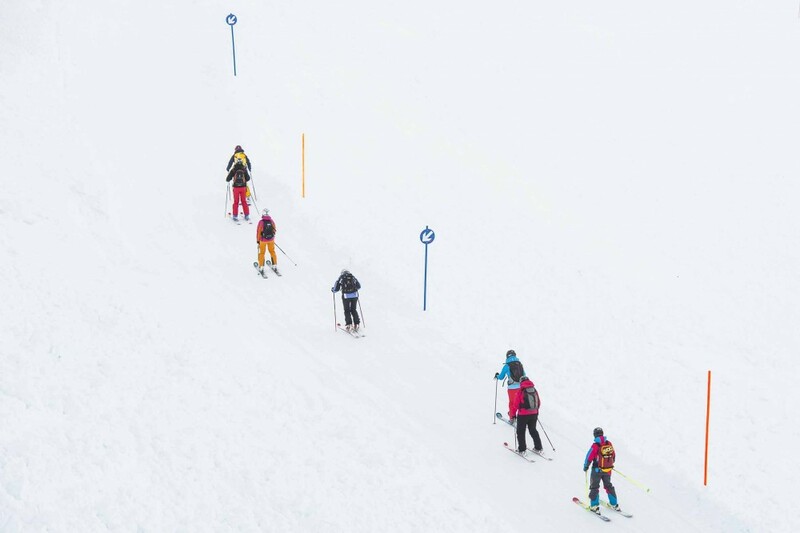 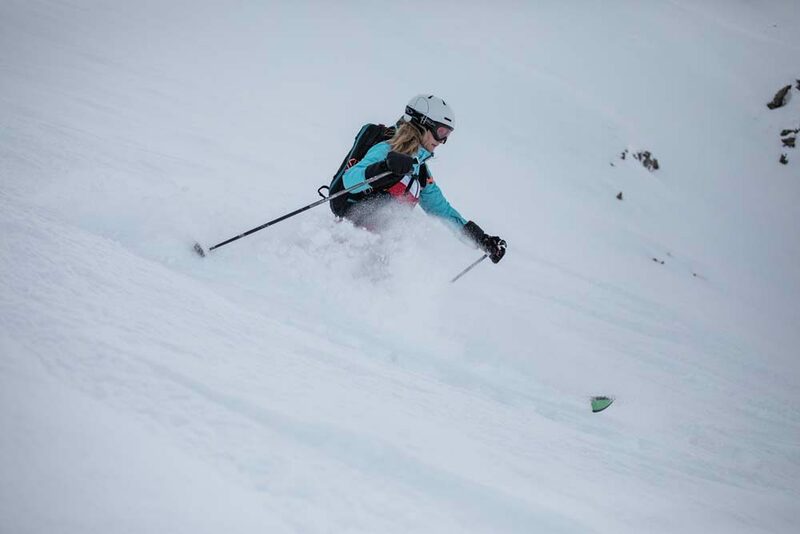 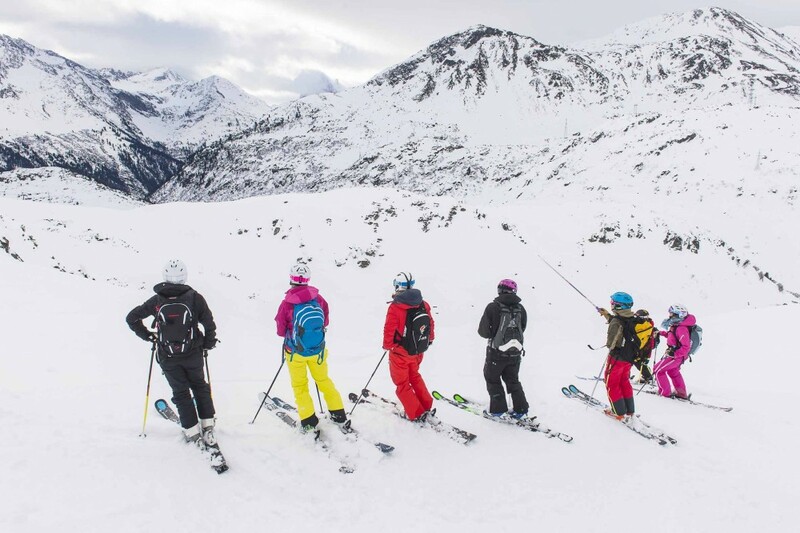 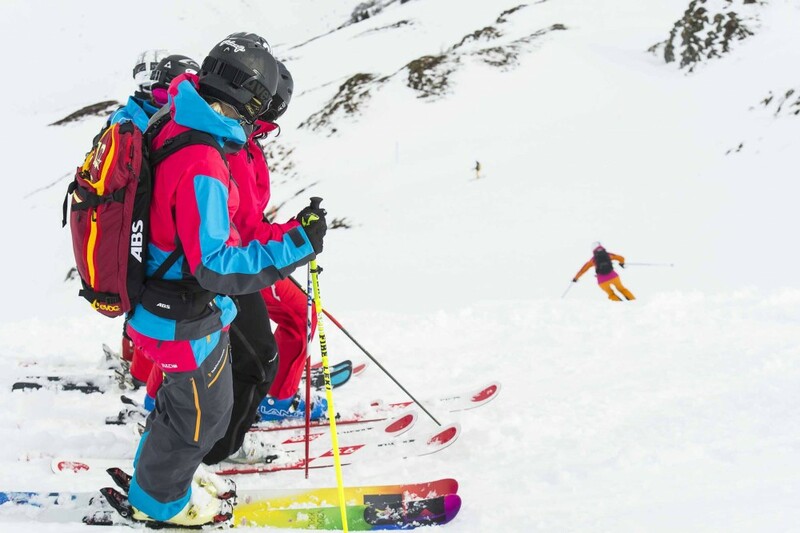 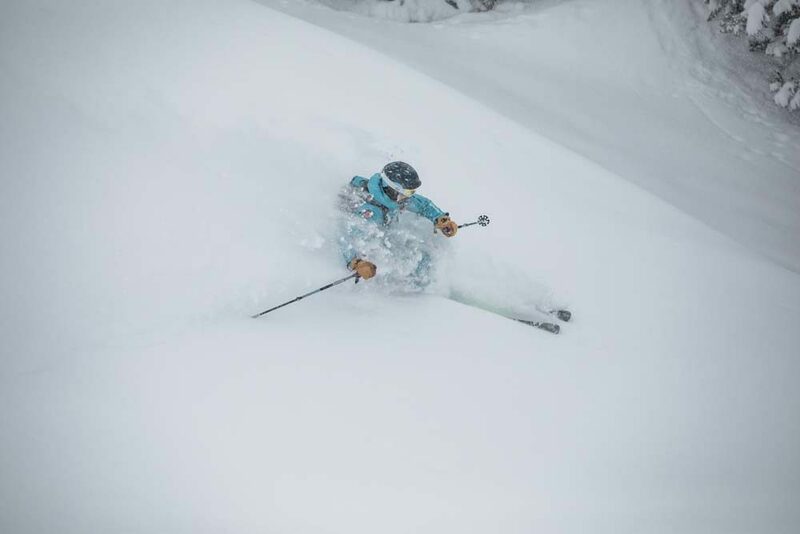 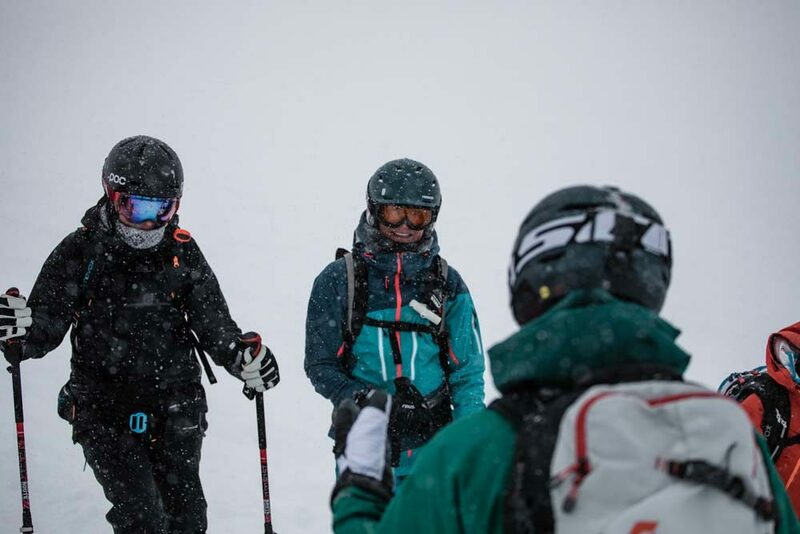 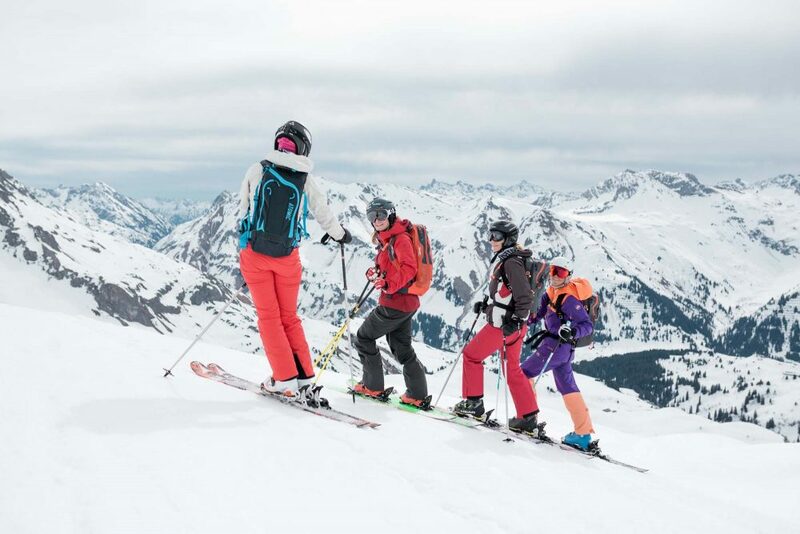 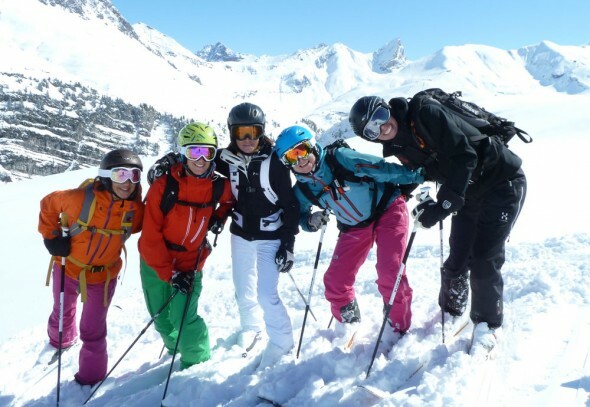 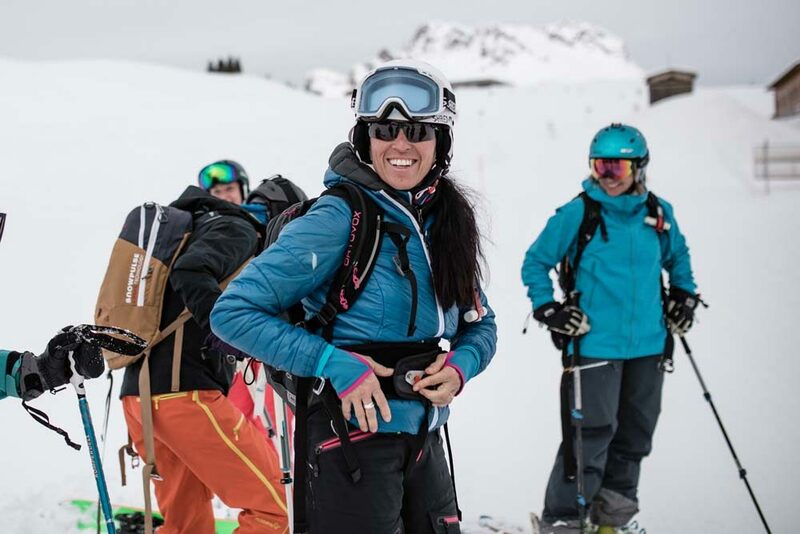 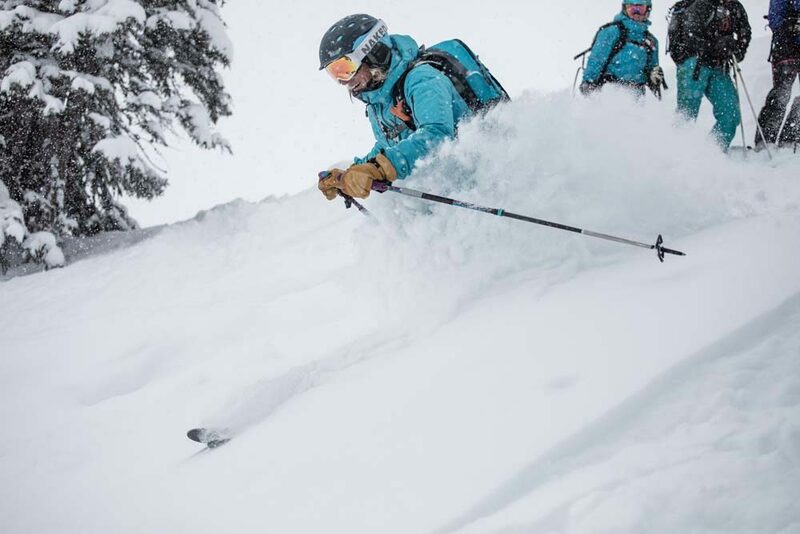 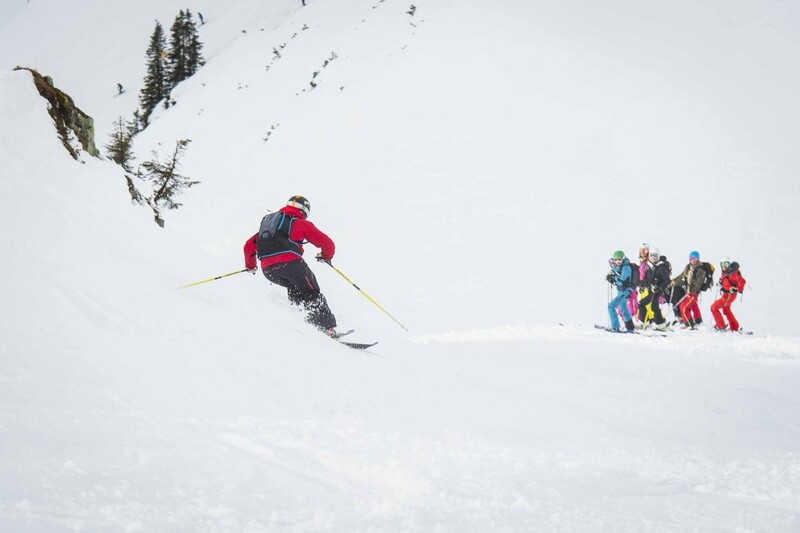 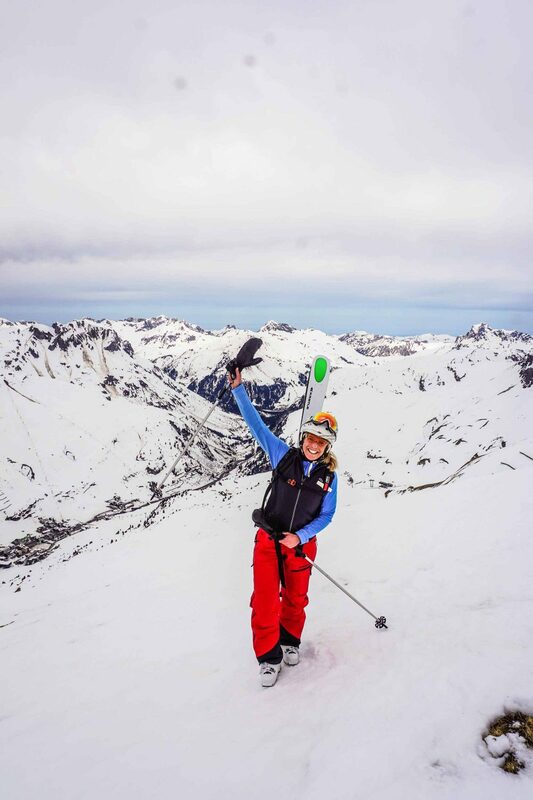 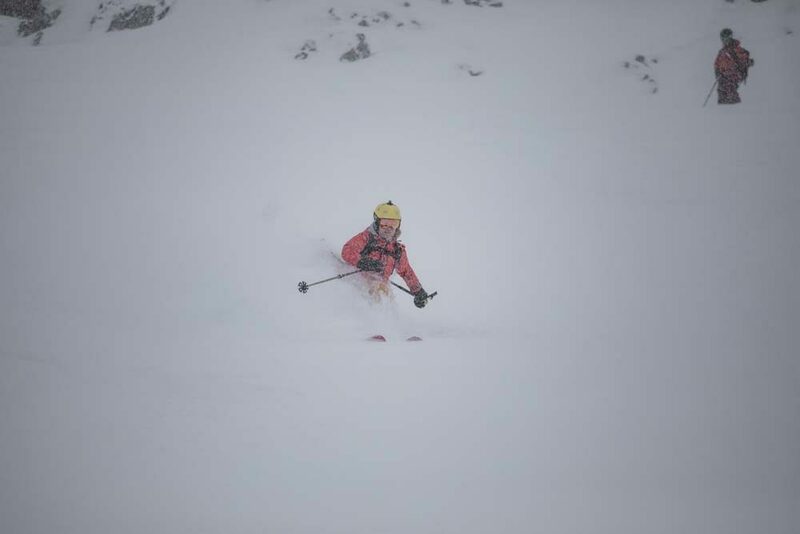 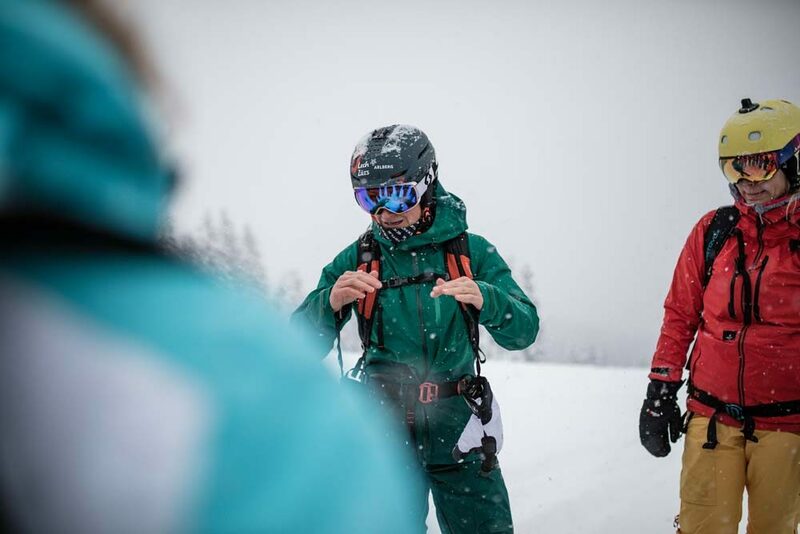 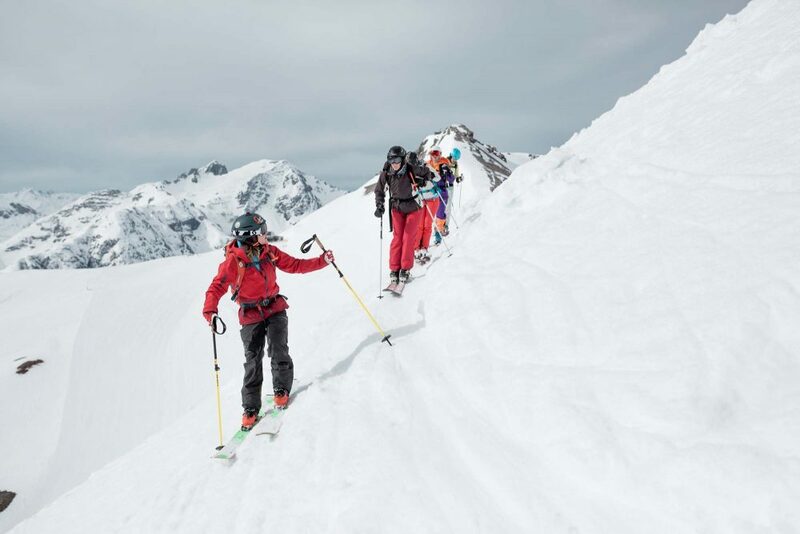 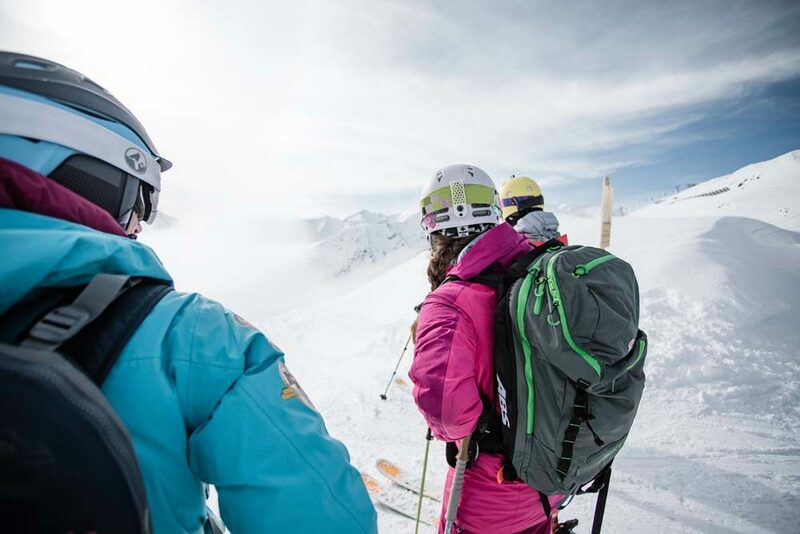 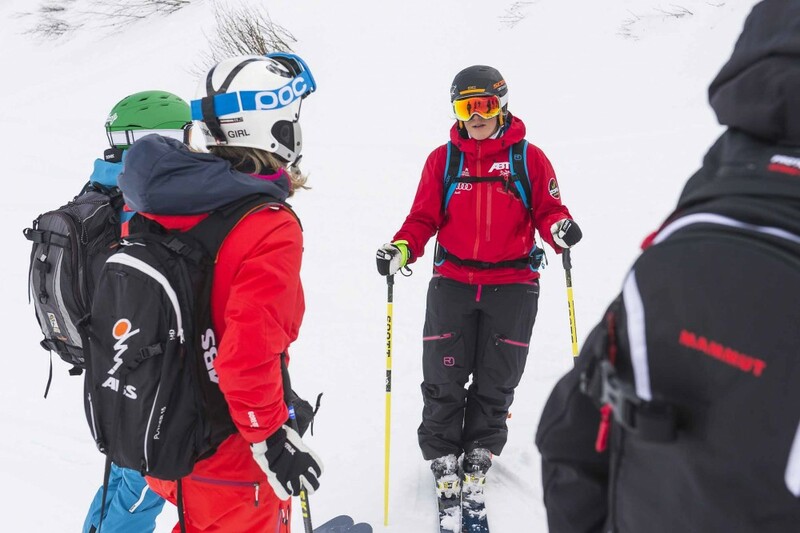 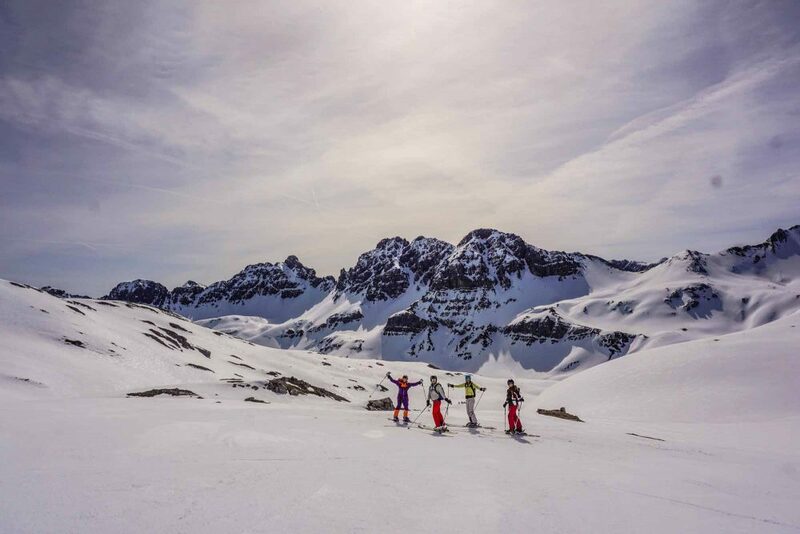 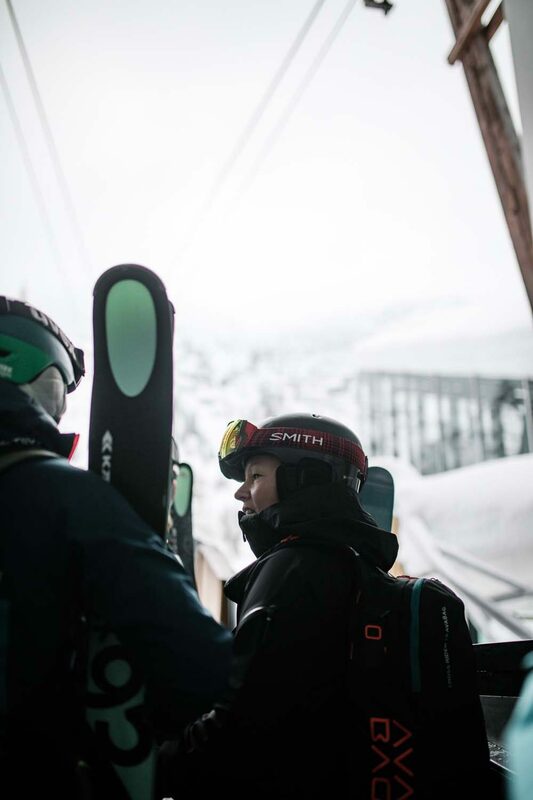 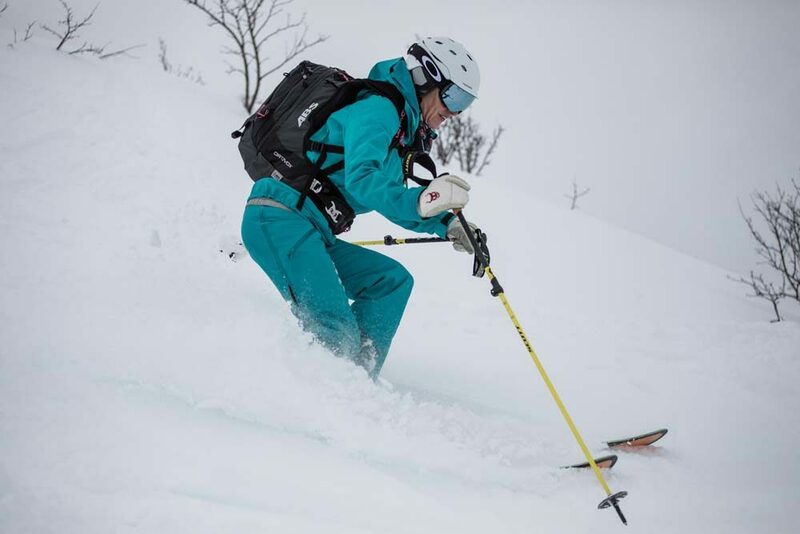 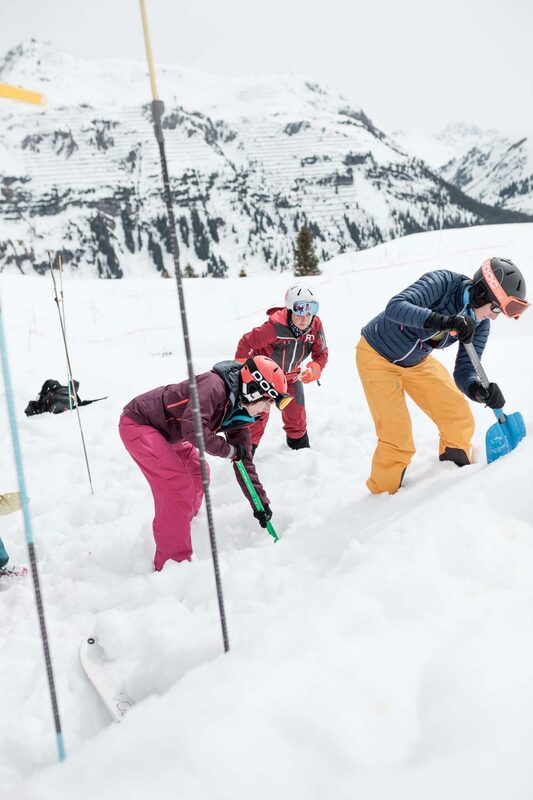 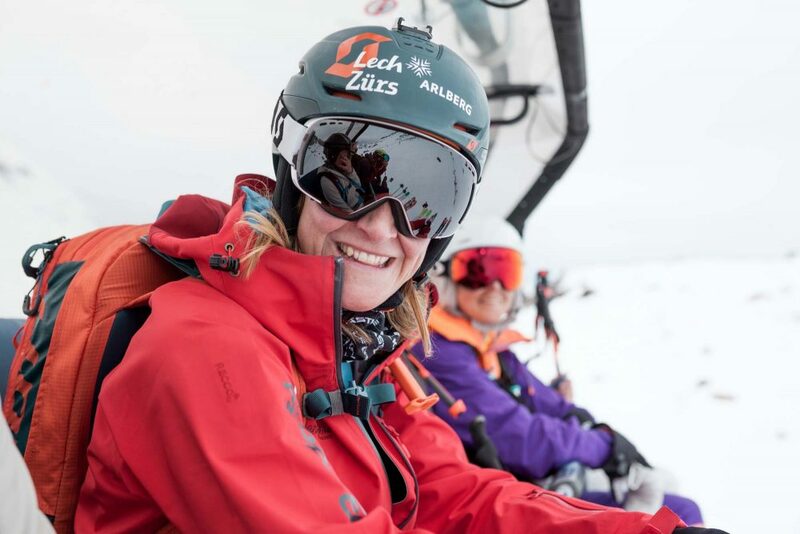 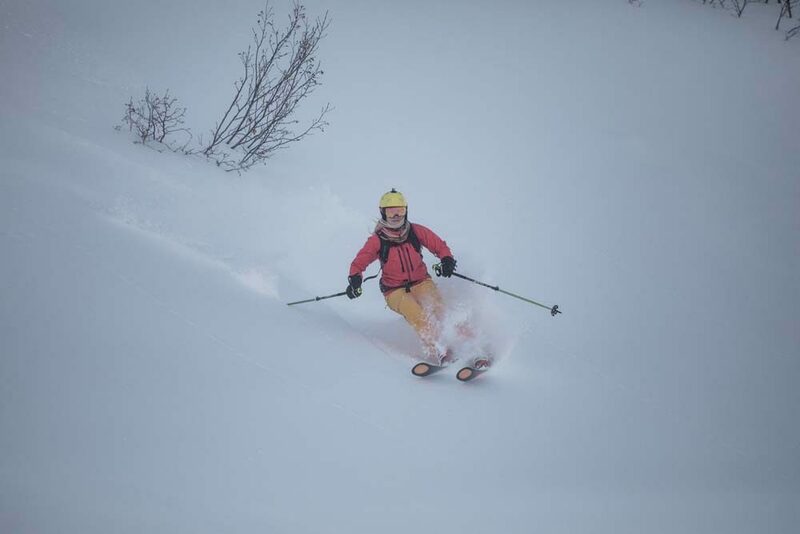 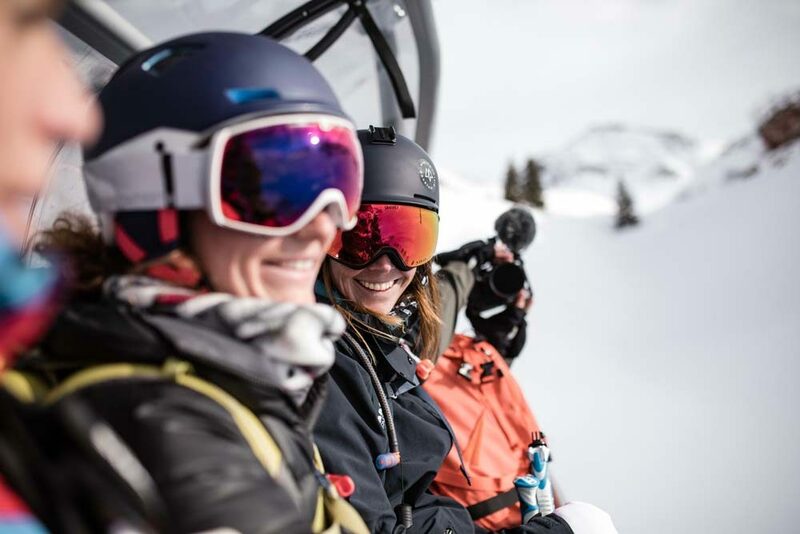 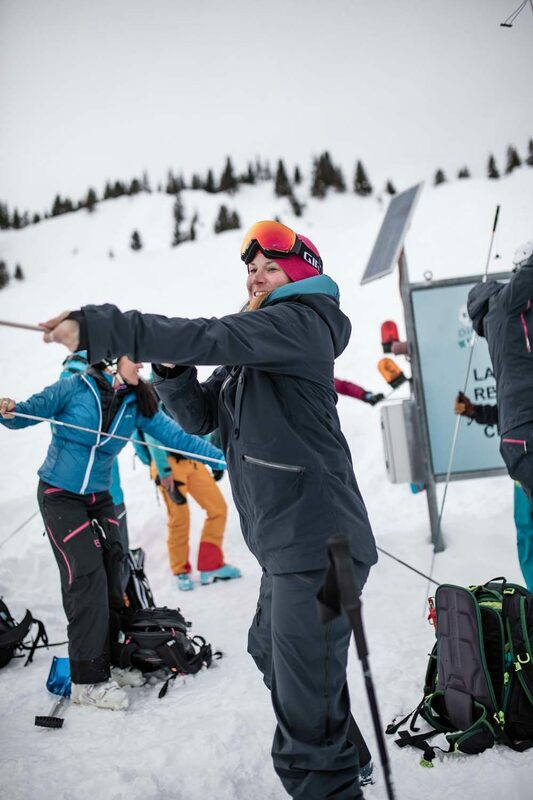 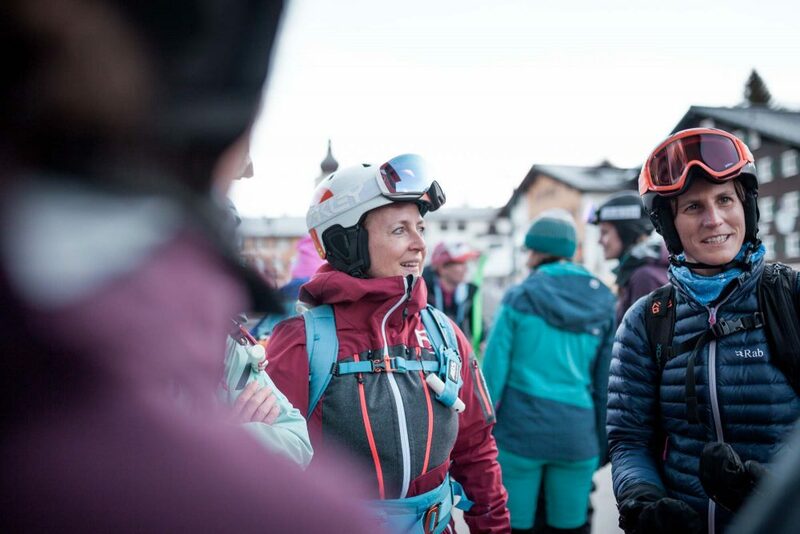 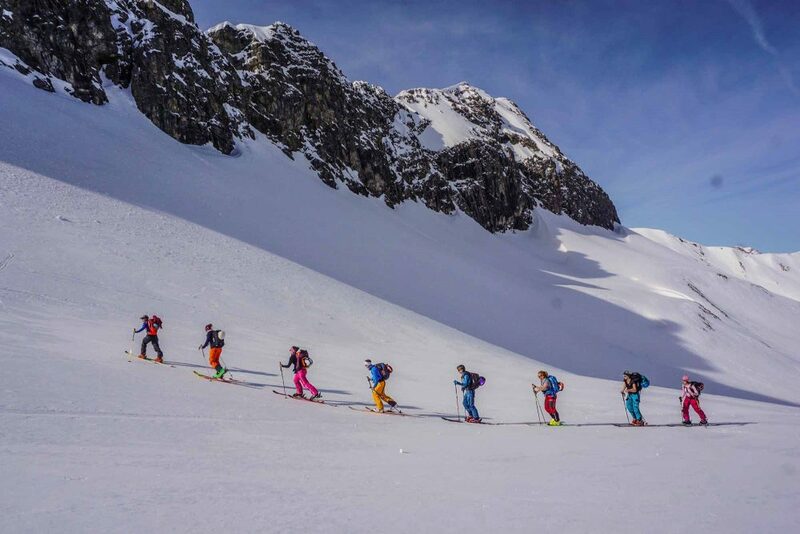 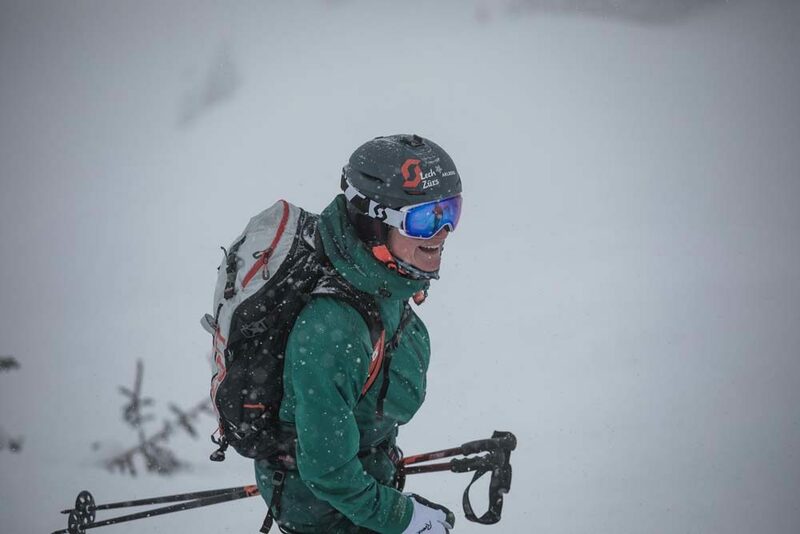 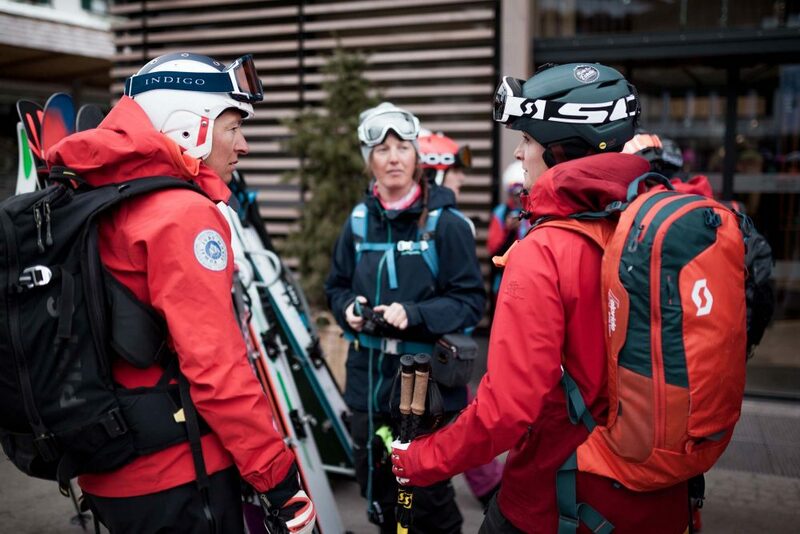 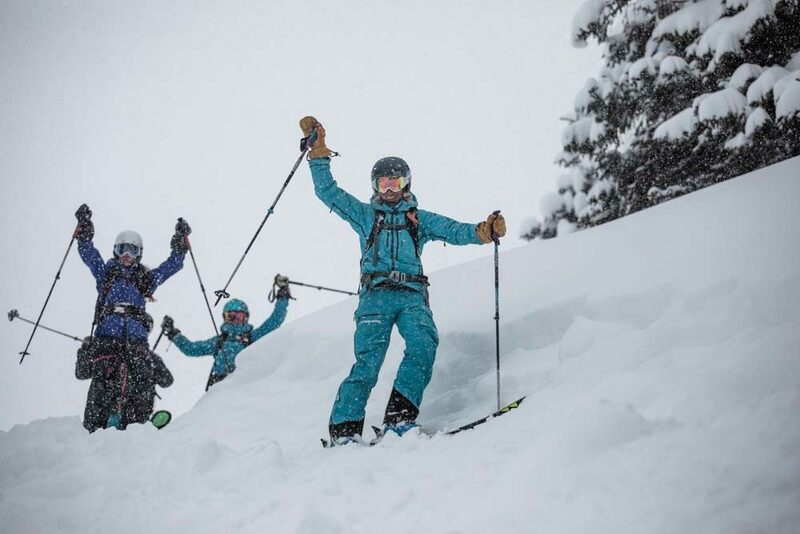 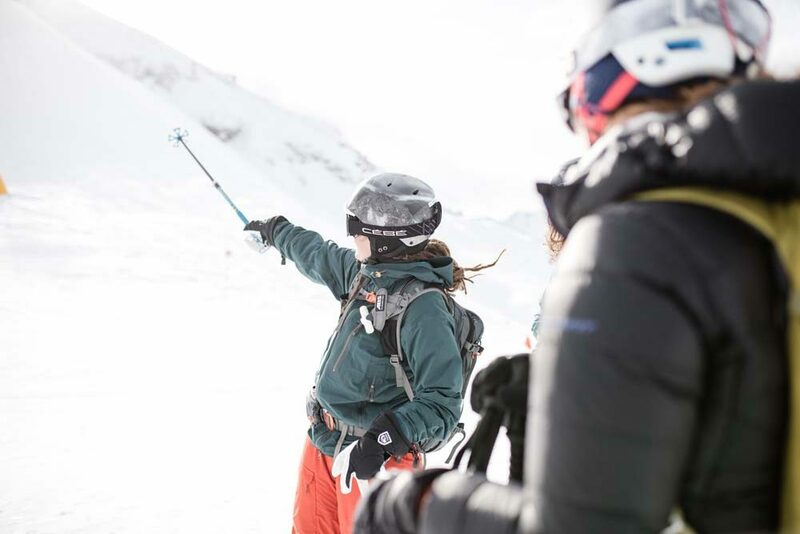 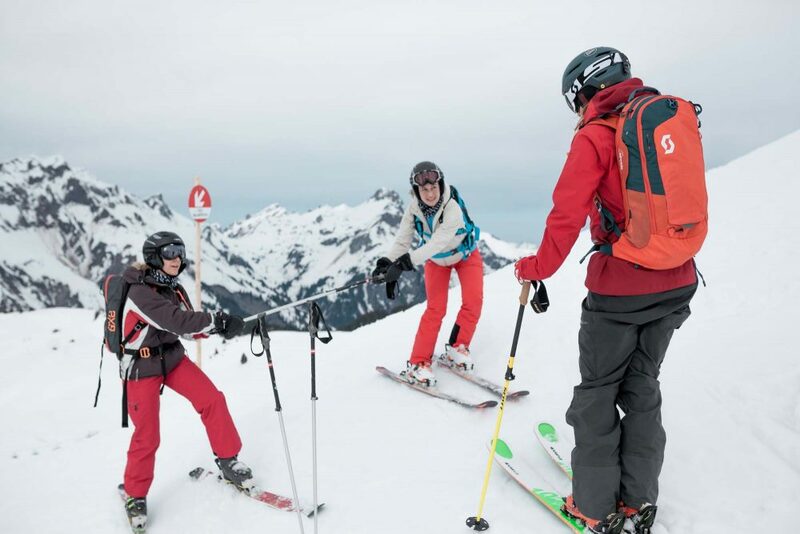 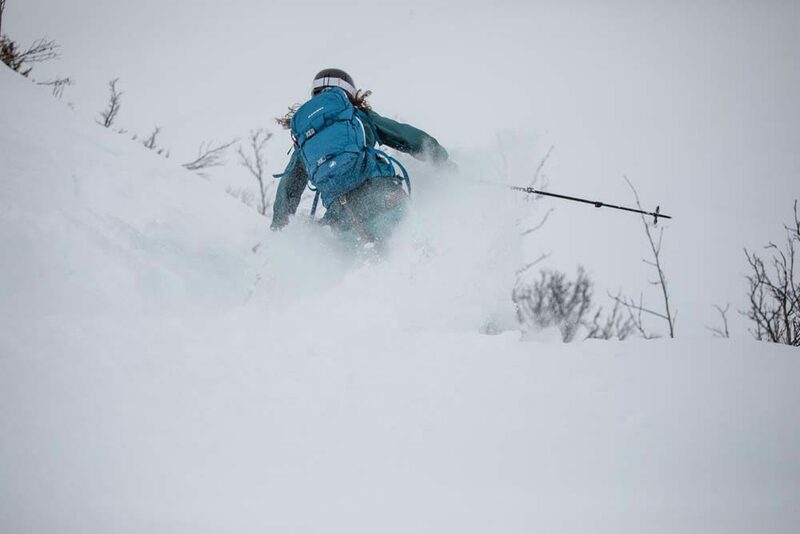 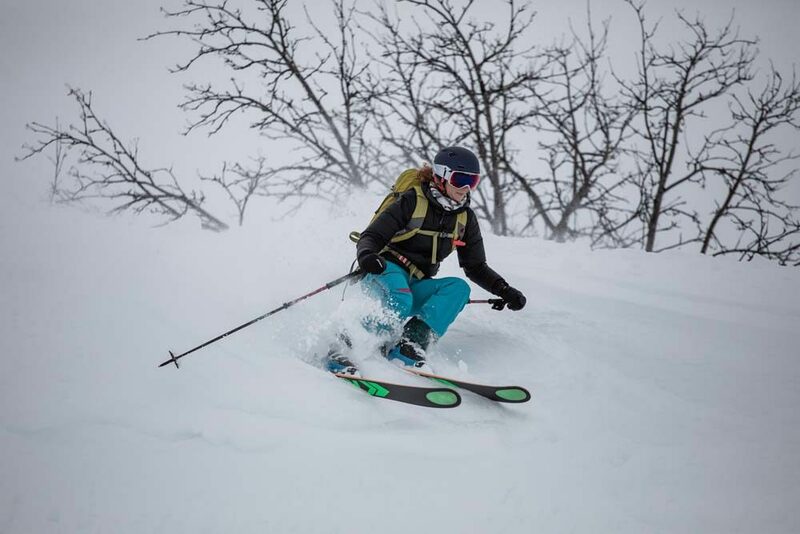 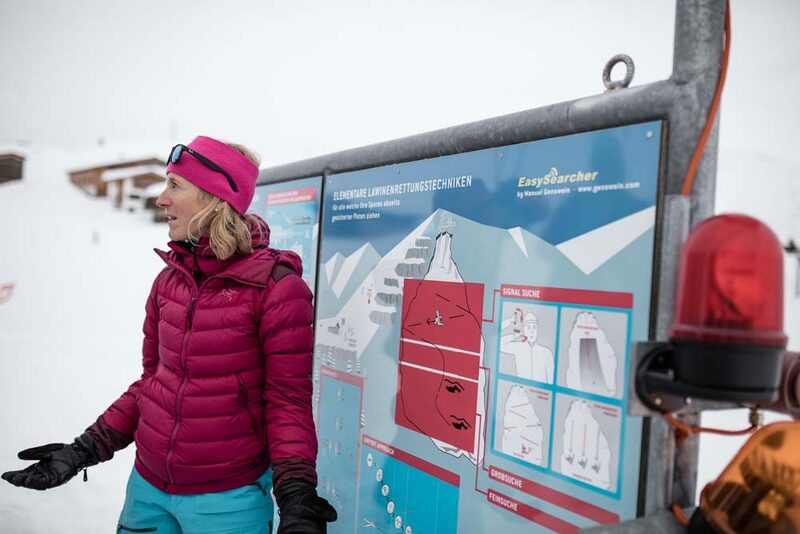 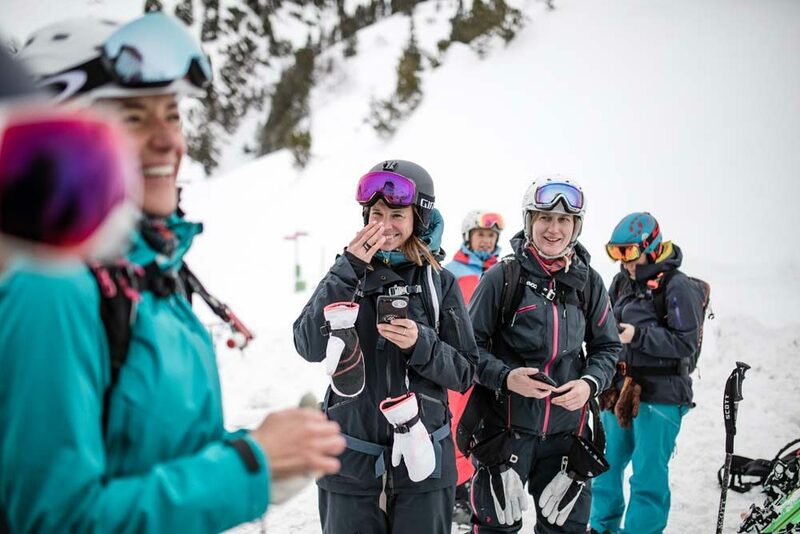 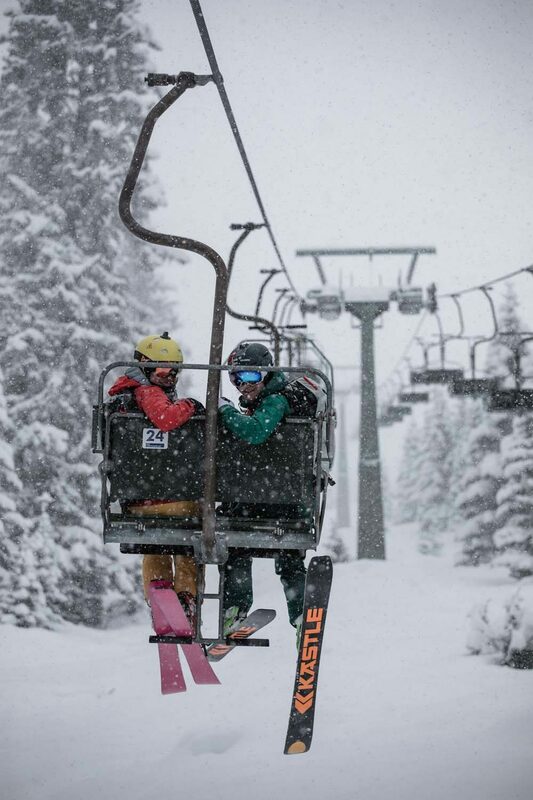 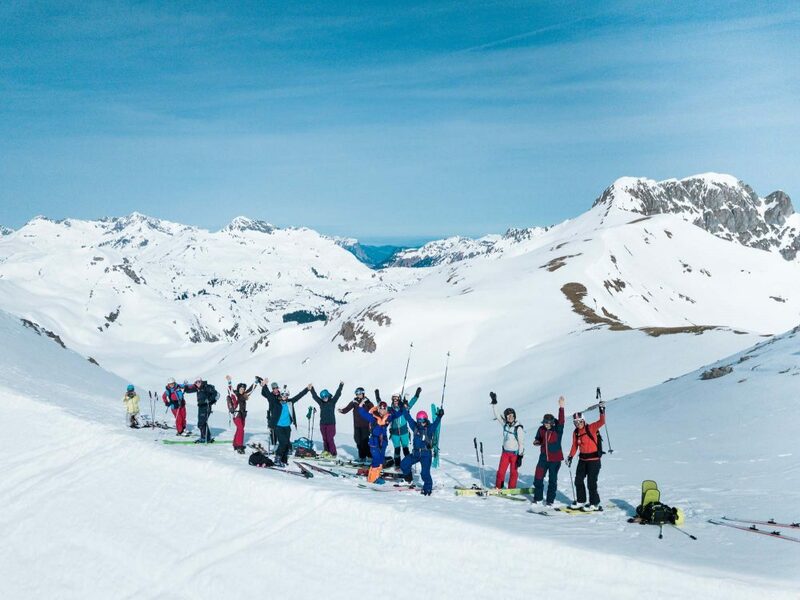 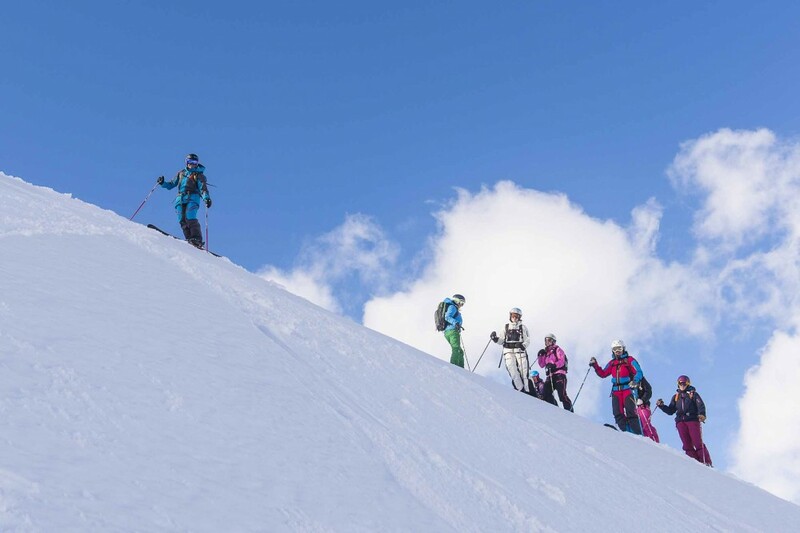 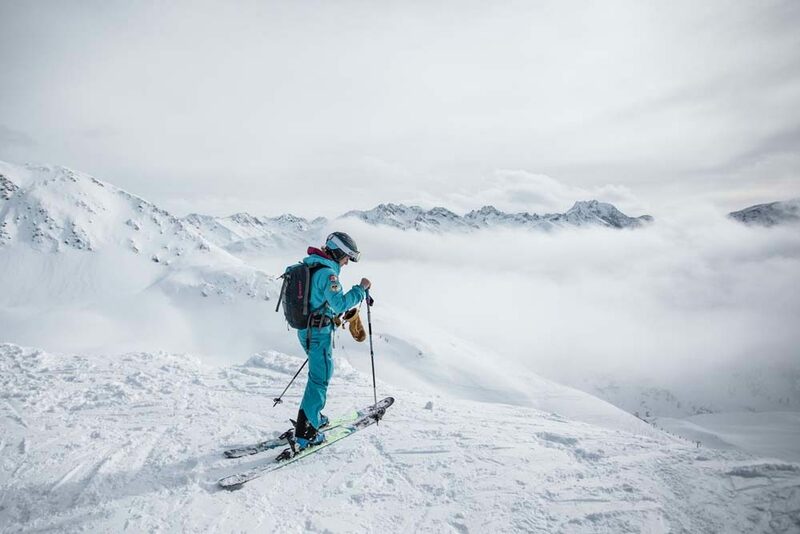 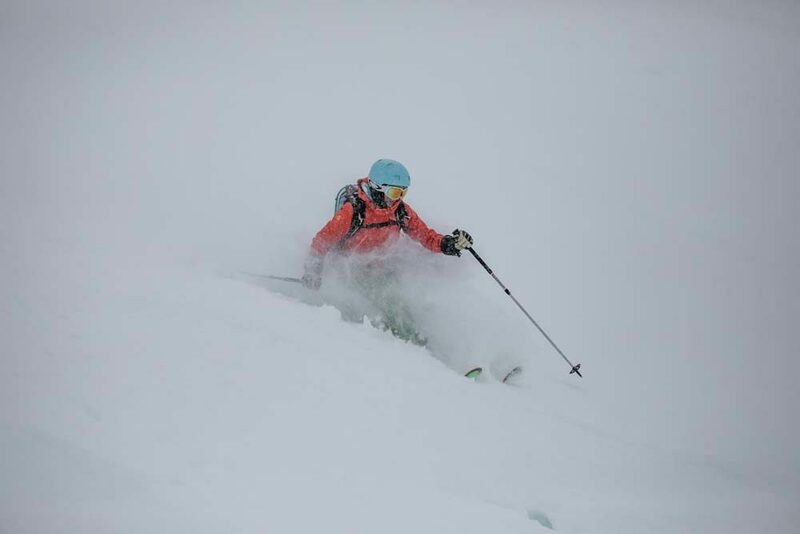 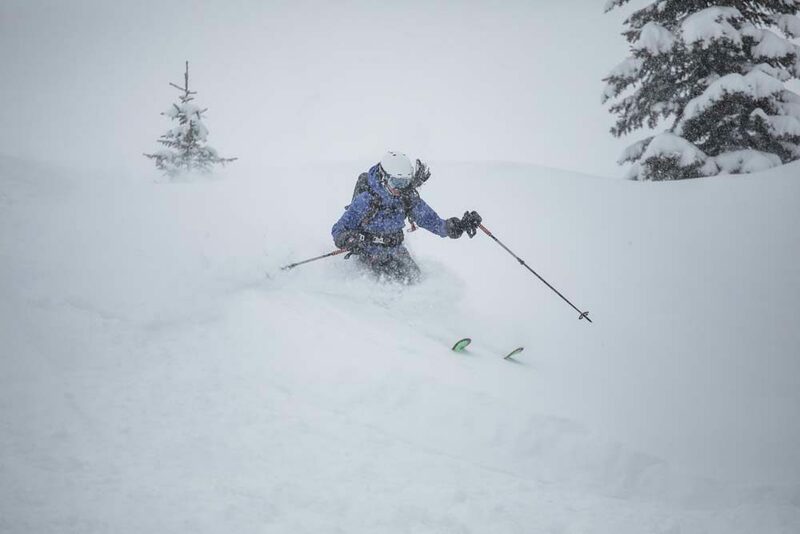 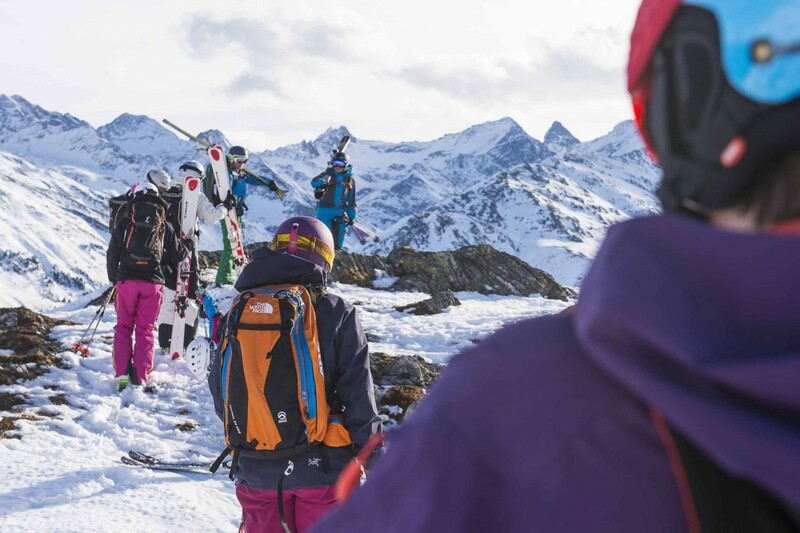 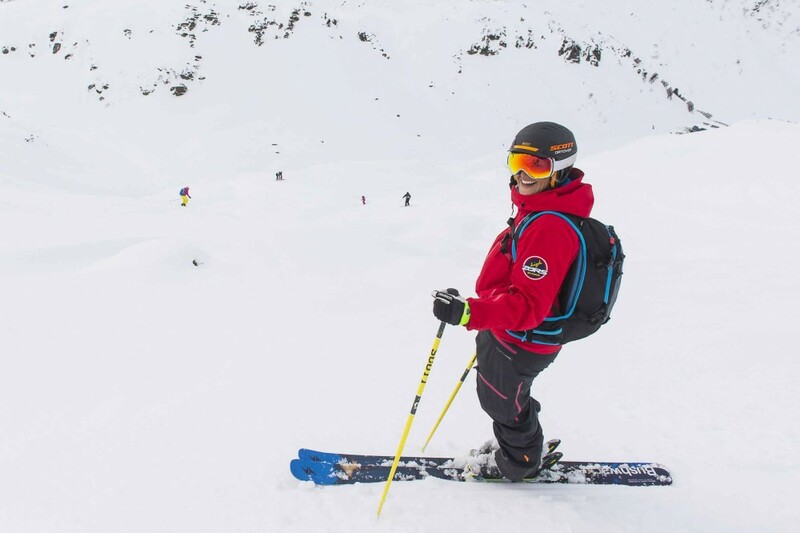 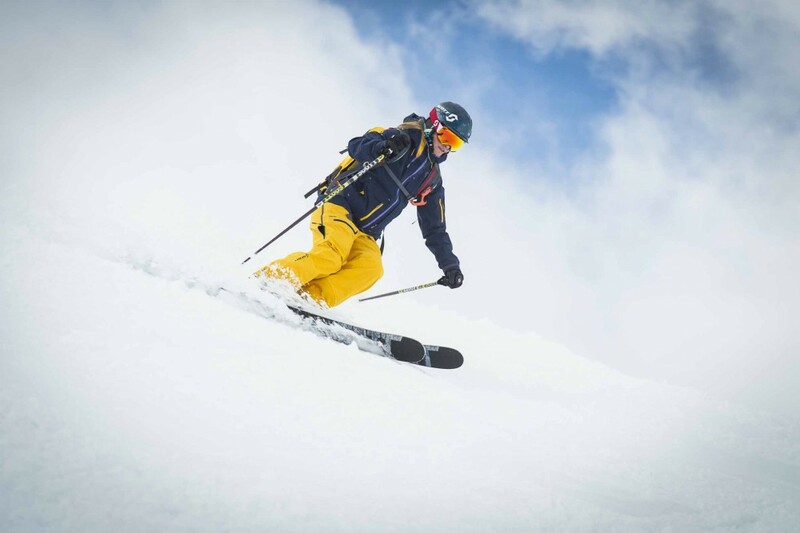 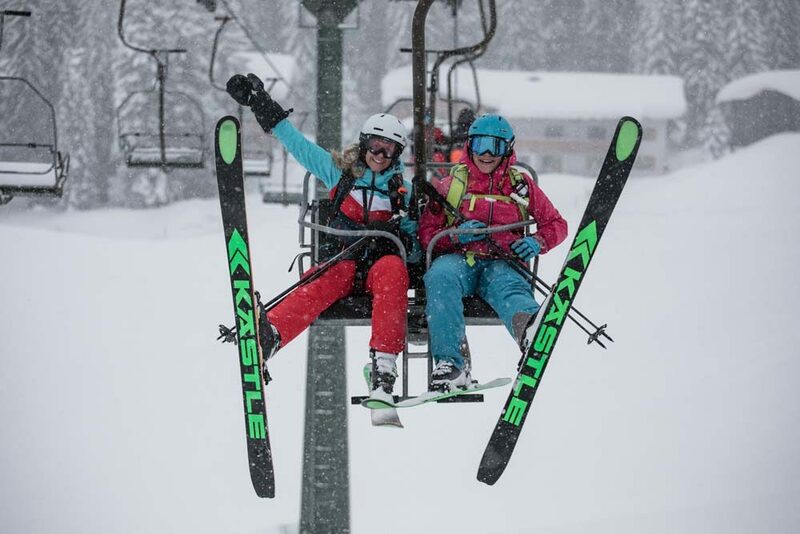 Most of the KJUS KLUB skiers were first-time heliskiers so there was plenty of excitement and nerves in the air. 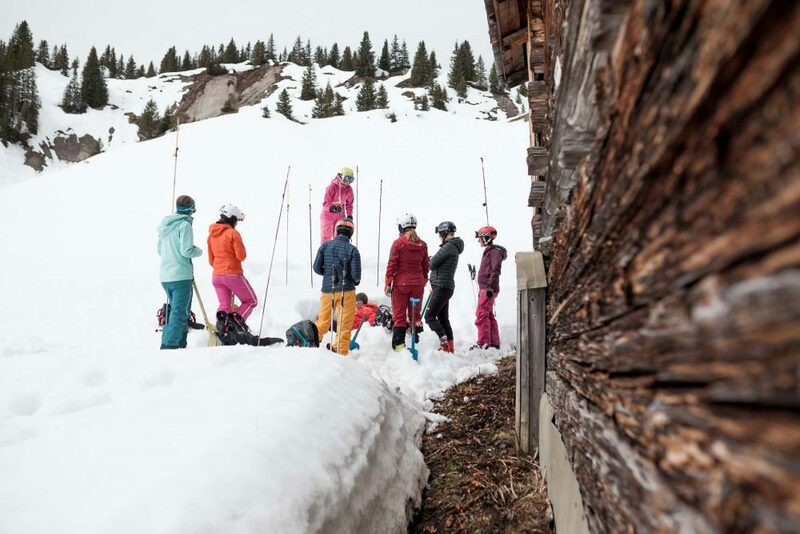 Snow quality was great although we had to keep a sharp eye out for rocks – we still have below average amounts of snow at the moment. 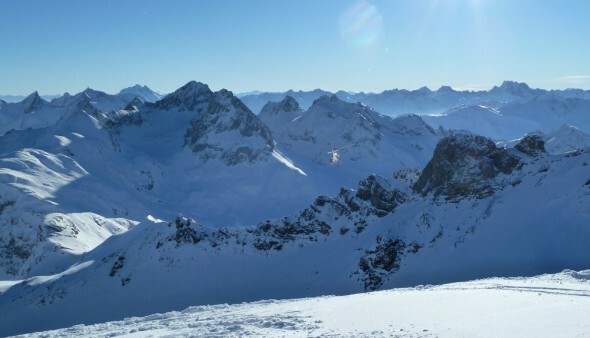 Other classics around here followed: Spielmäder, Liezen and a run out towards Juppenspitze. 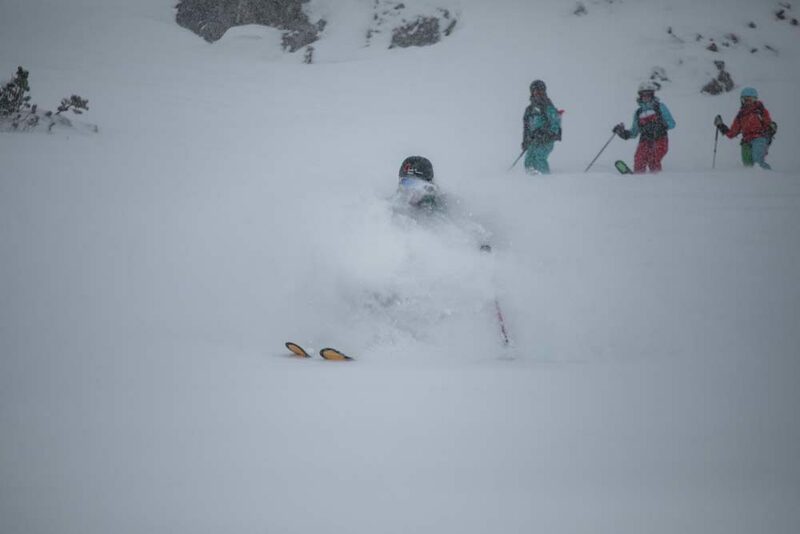 We were stoked! 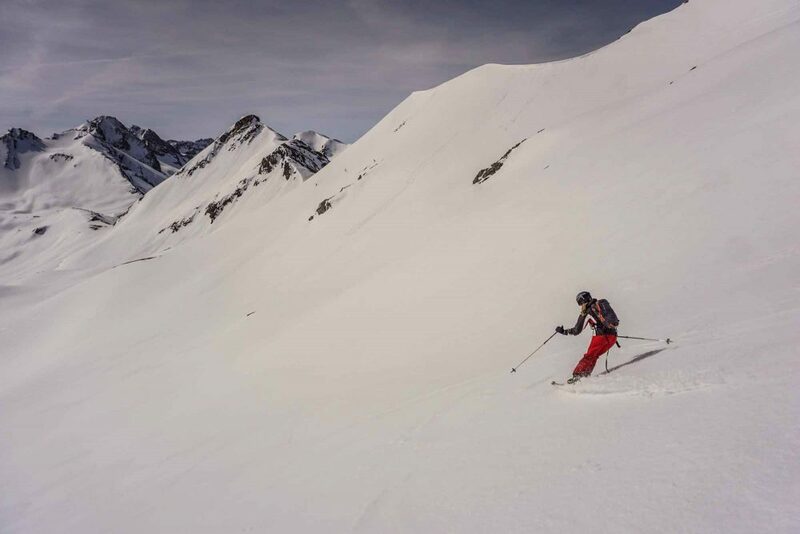 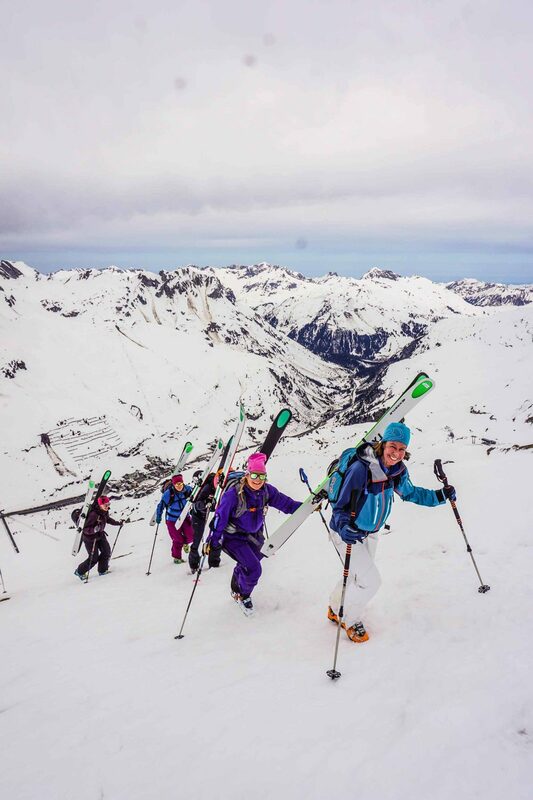 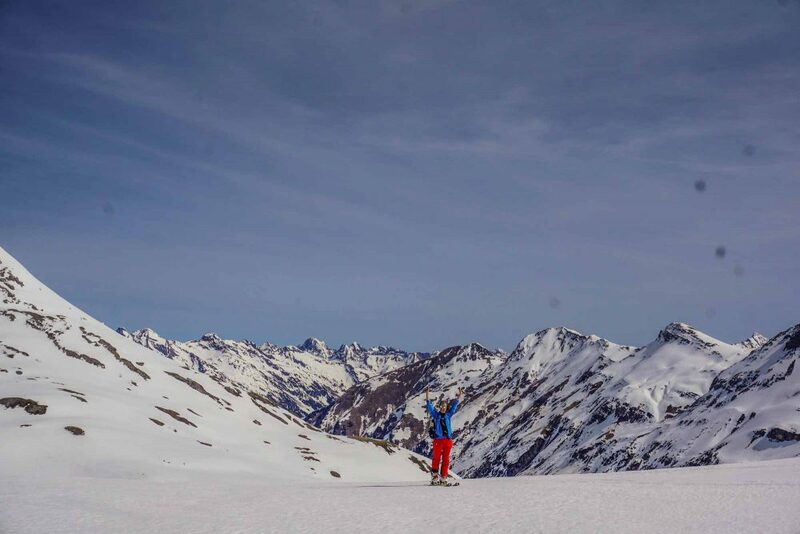 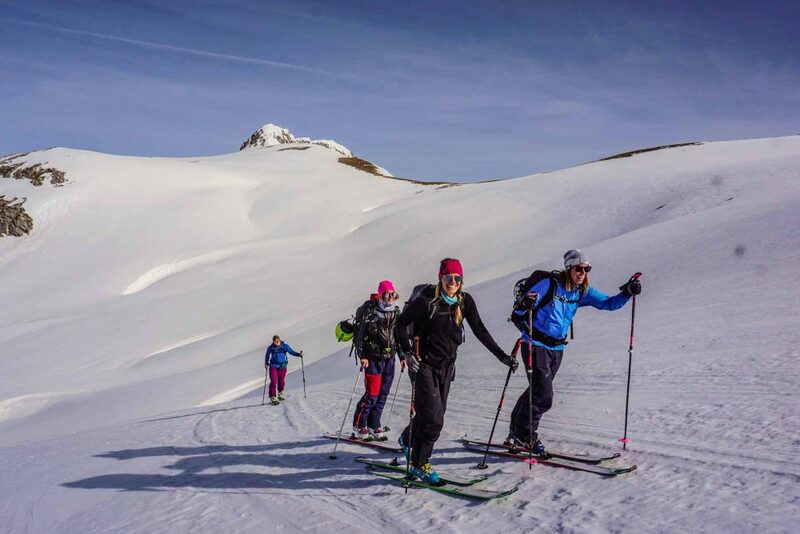 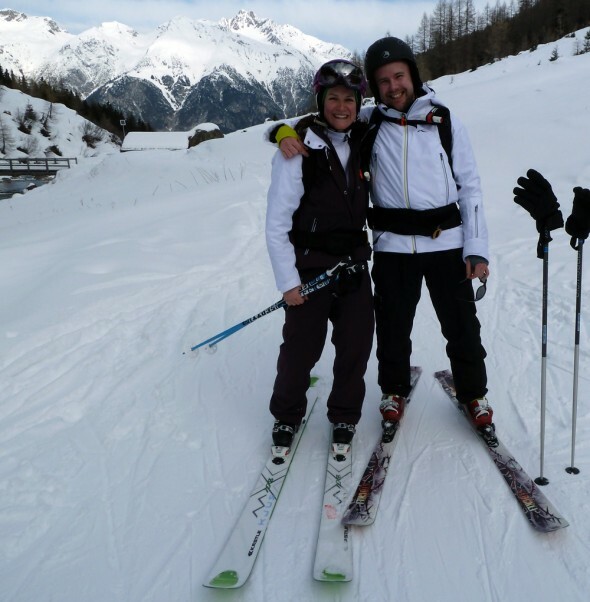 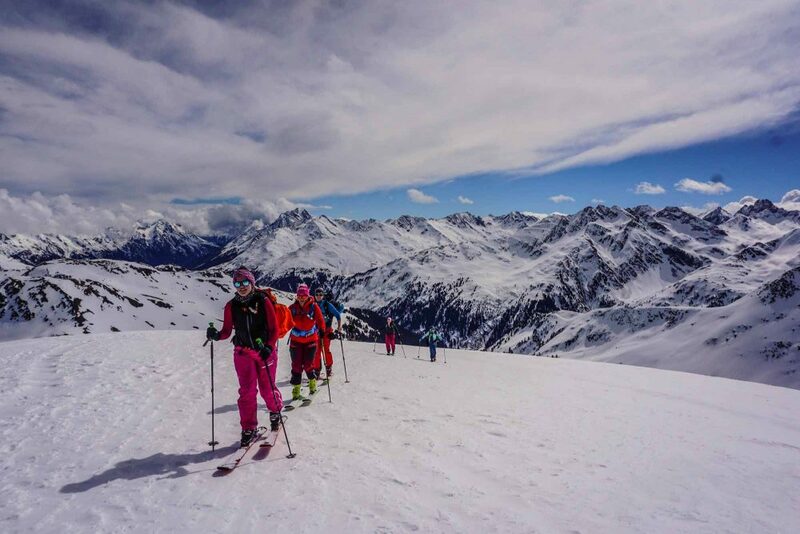 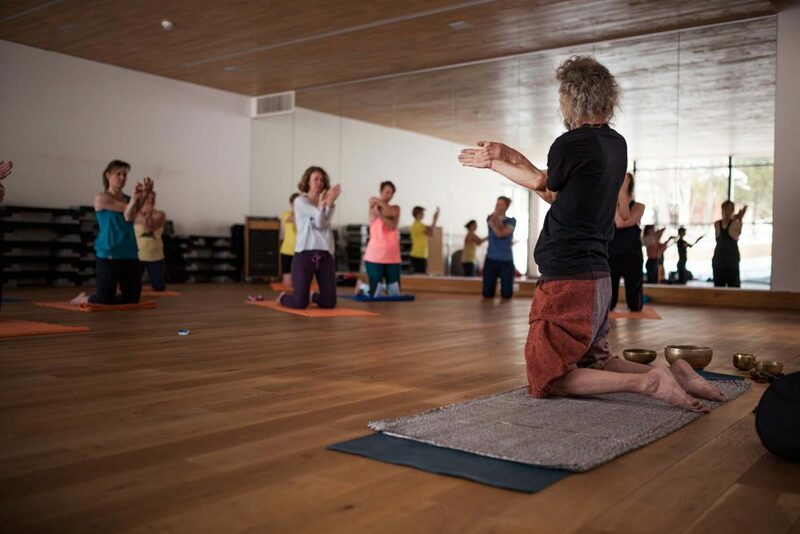 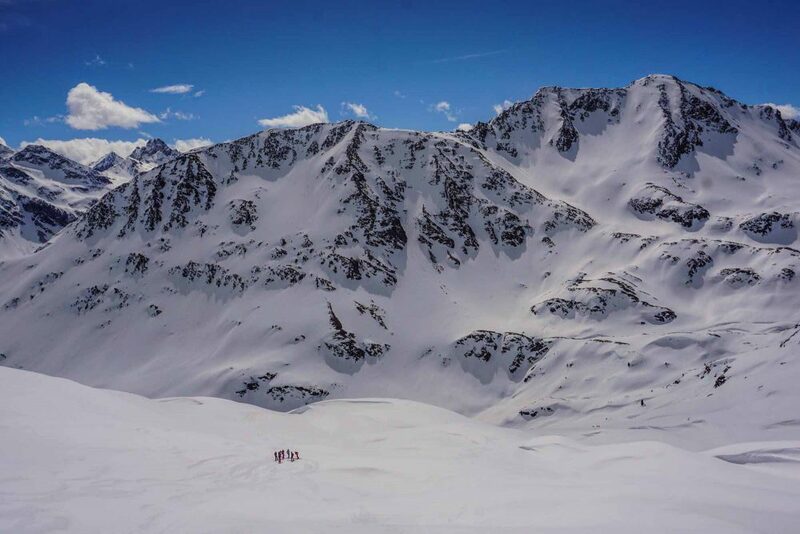 On Day 2 Andy Thurner guided us on a beautiful tour to the Rendelscharte – Malfontal. 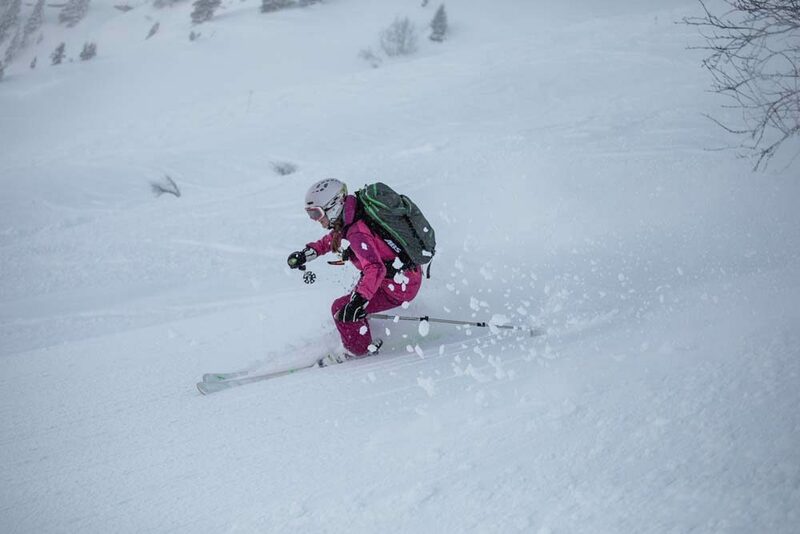 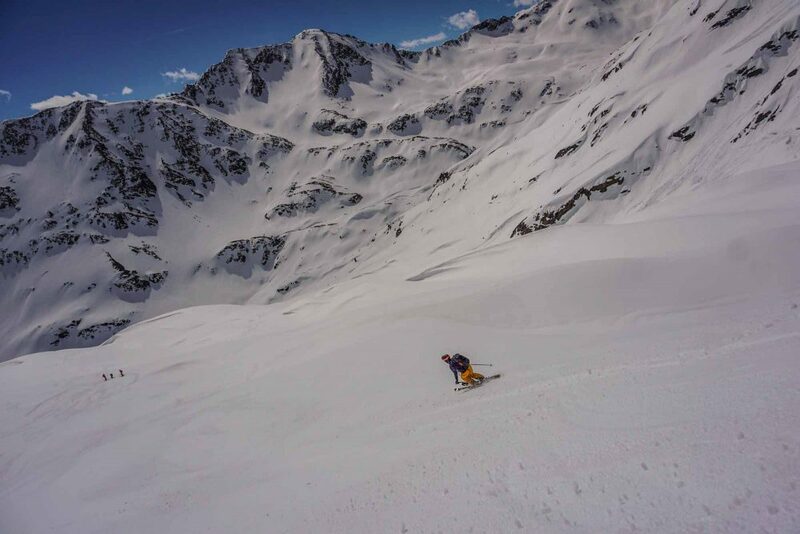 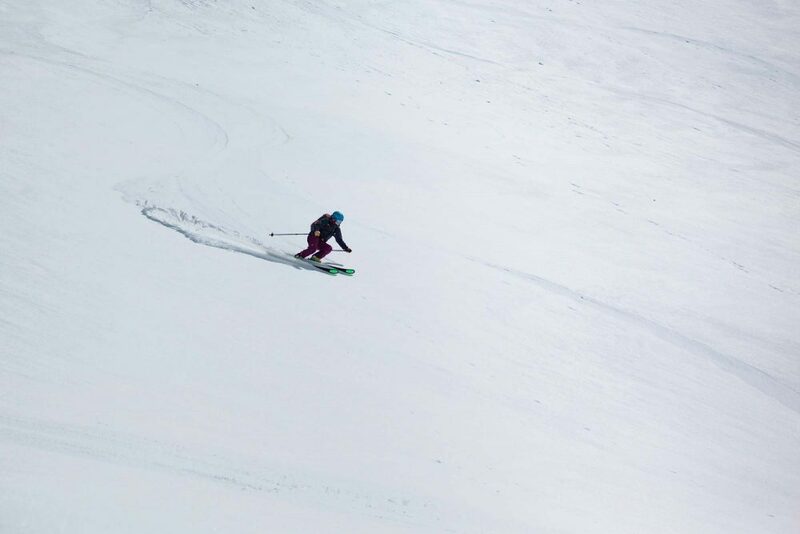 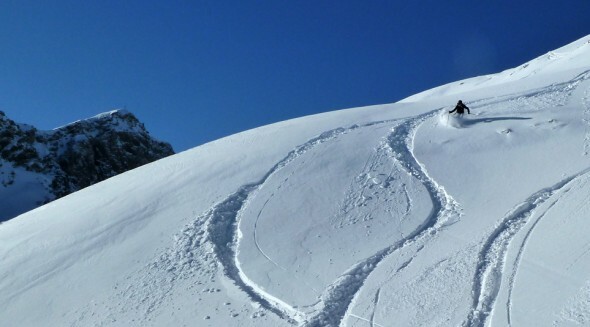 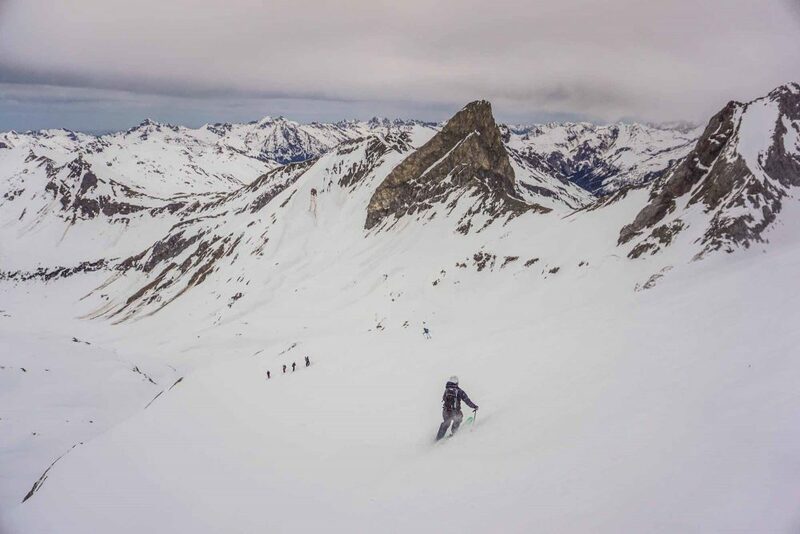 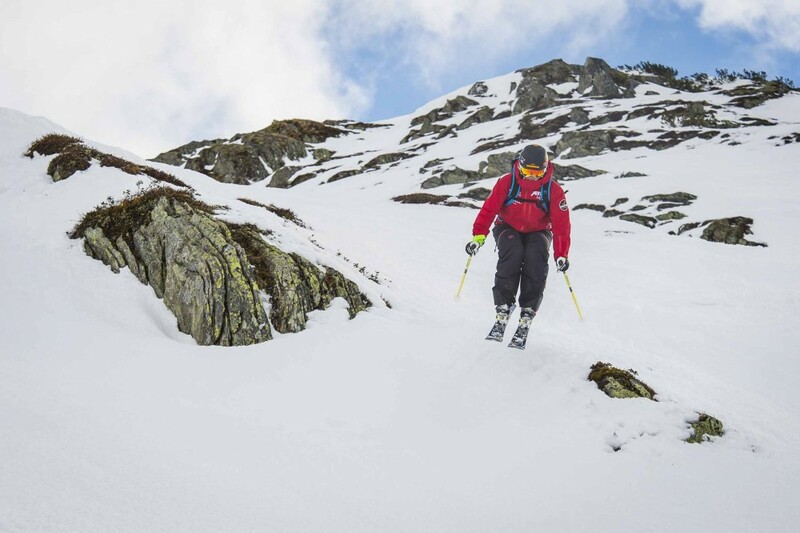 This is good choice for long, gentle slopes where you can still find powder many days after a snow fall. 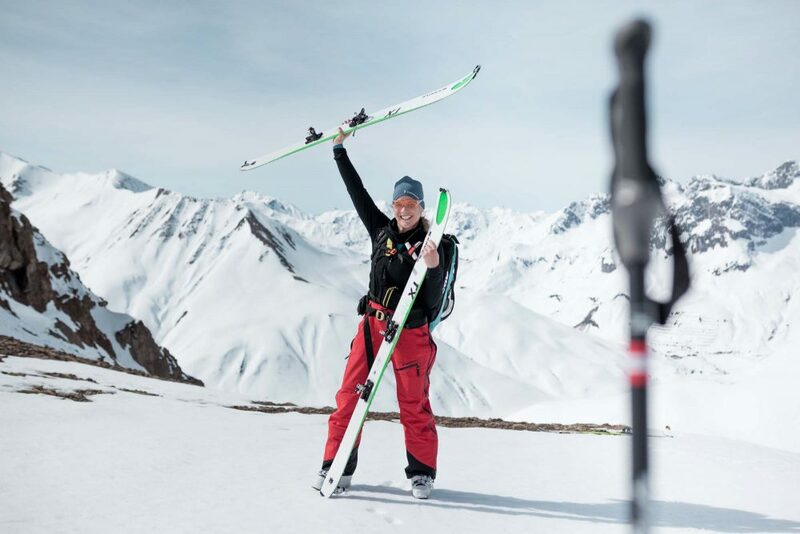 The afternoon was spent photoshooting with photographer extraordinaire Sepp Mallaun – an amazing chance for the KJUS KLUB participants to have professional skiing pictures taken of them. 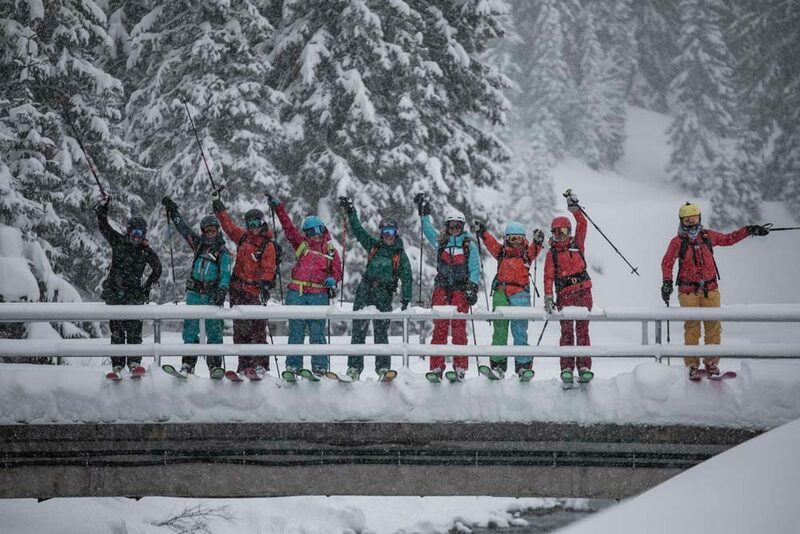 Everyone was stoked! 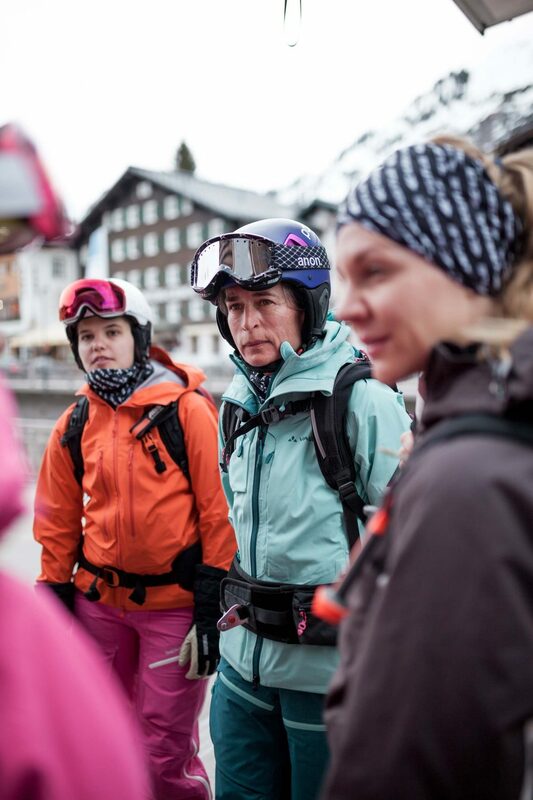 And I realised how much I love coaching again and seeing people stoked on skiing. 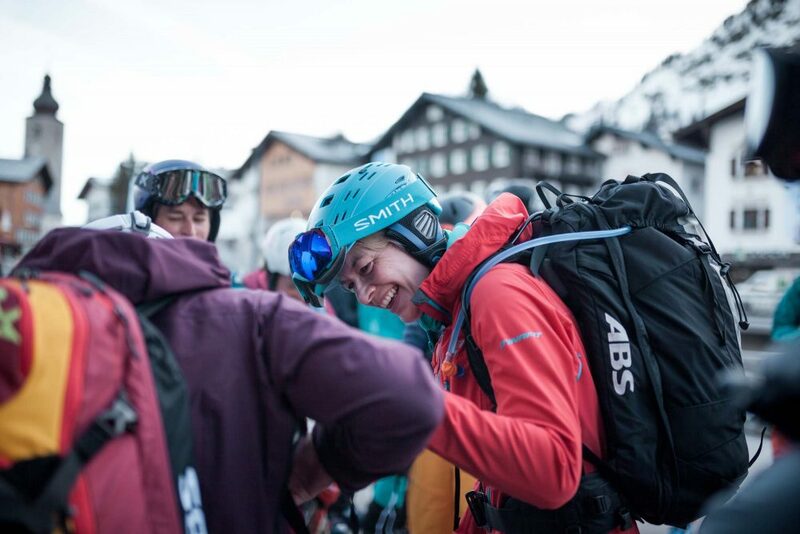 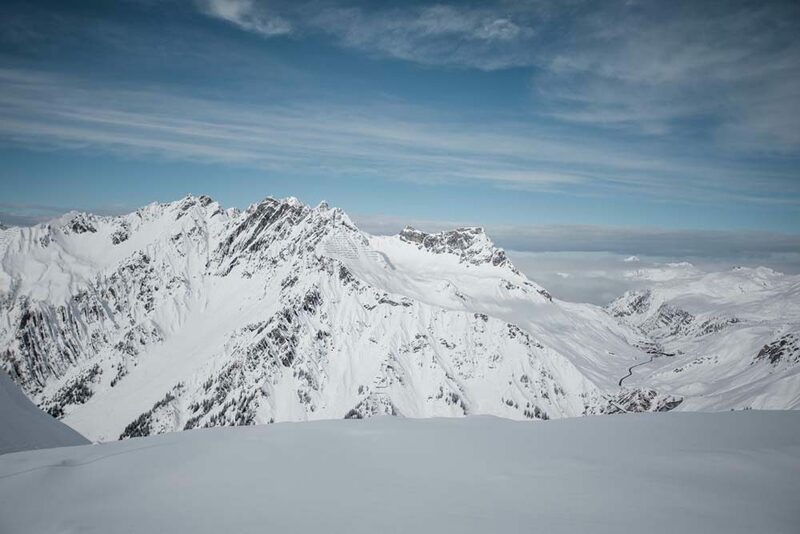 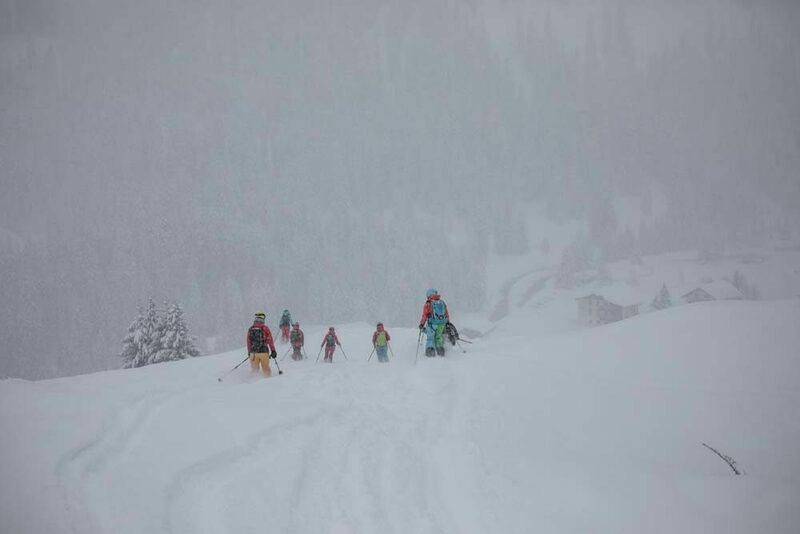 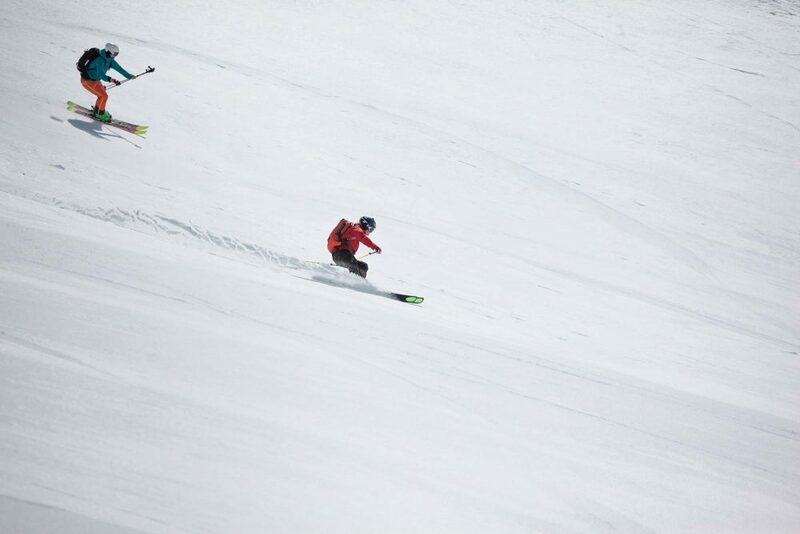 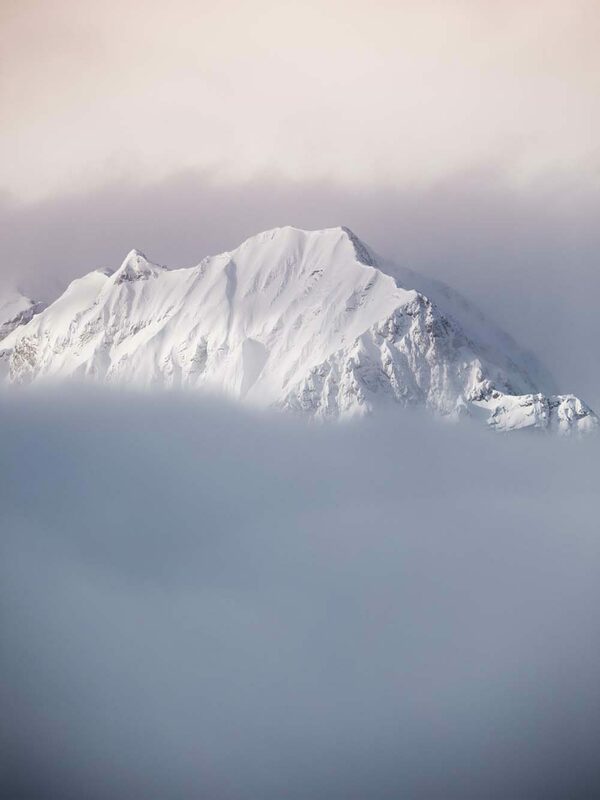 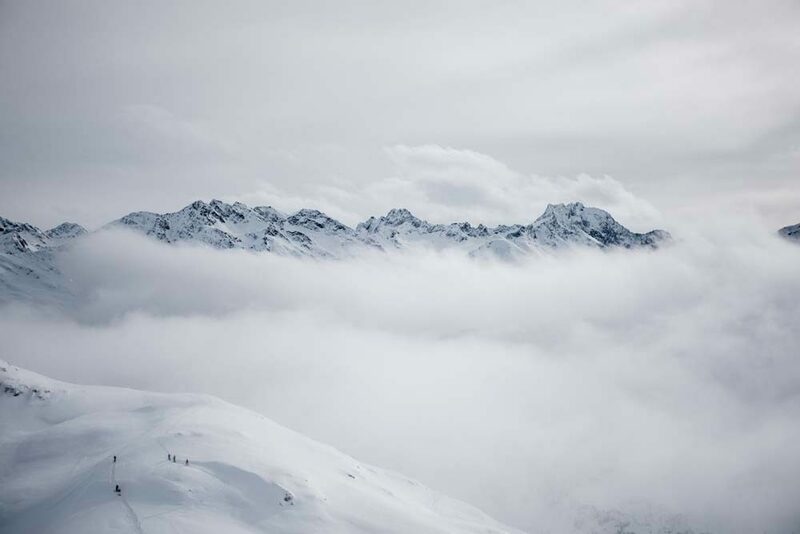 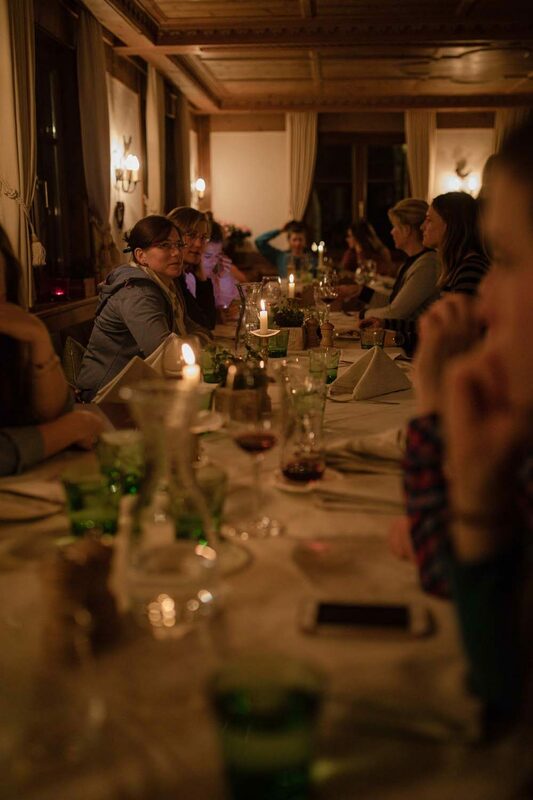 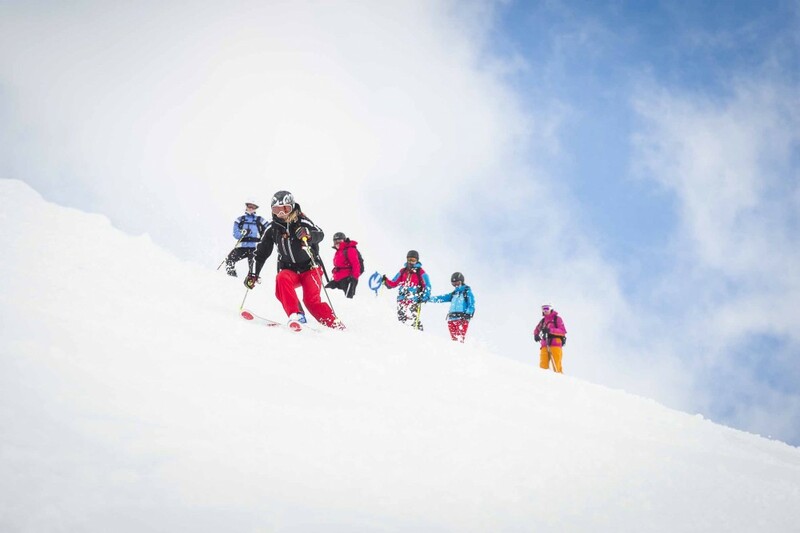 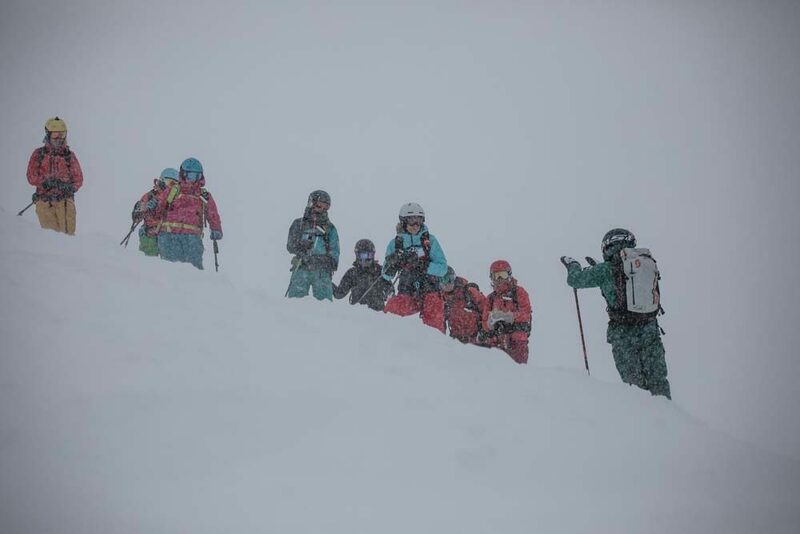 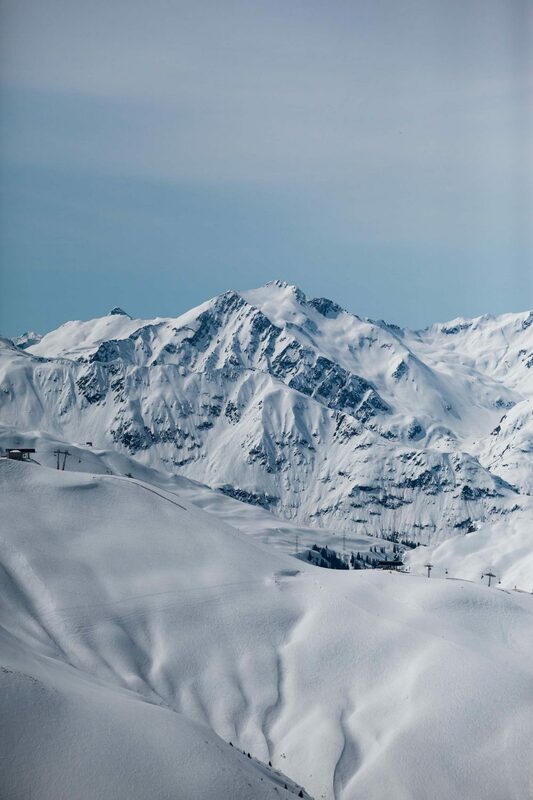 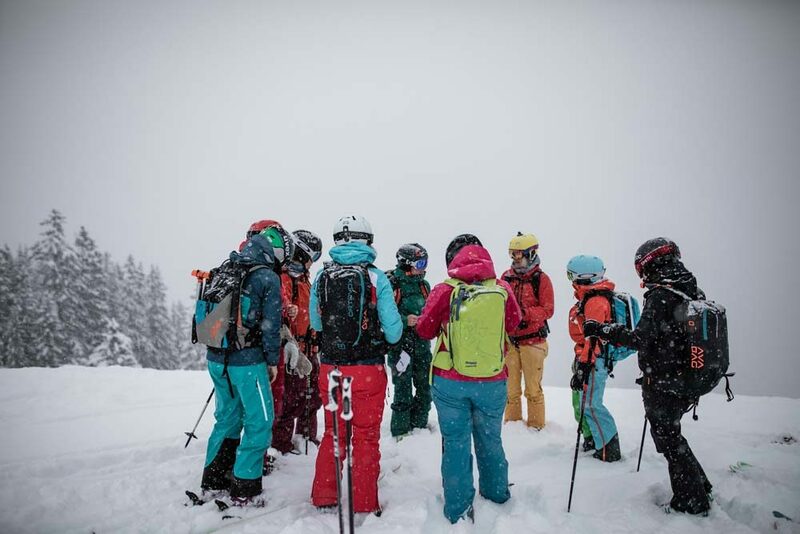 Thank you all for joining us – we’re definitely organising another freeride camp at the Arlberg next winter!